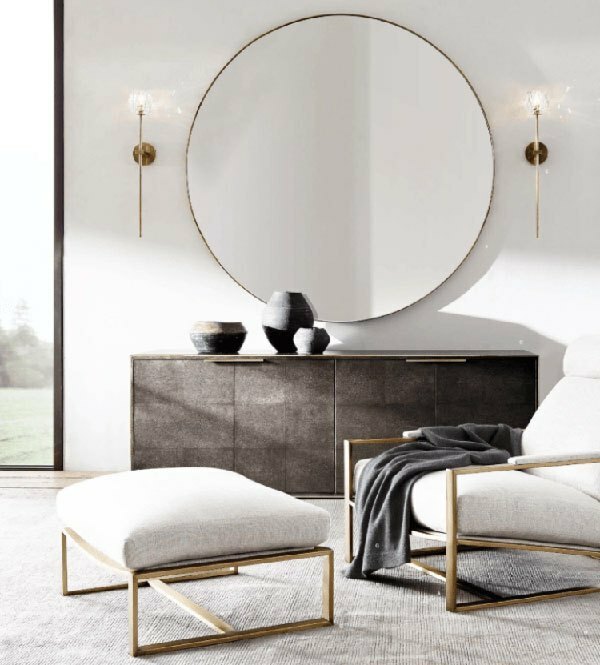 Wall mirrors are not only stylish and pretty but also gives deep to a room. 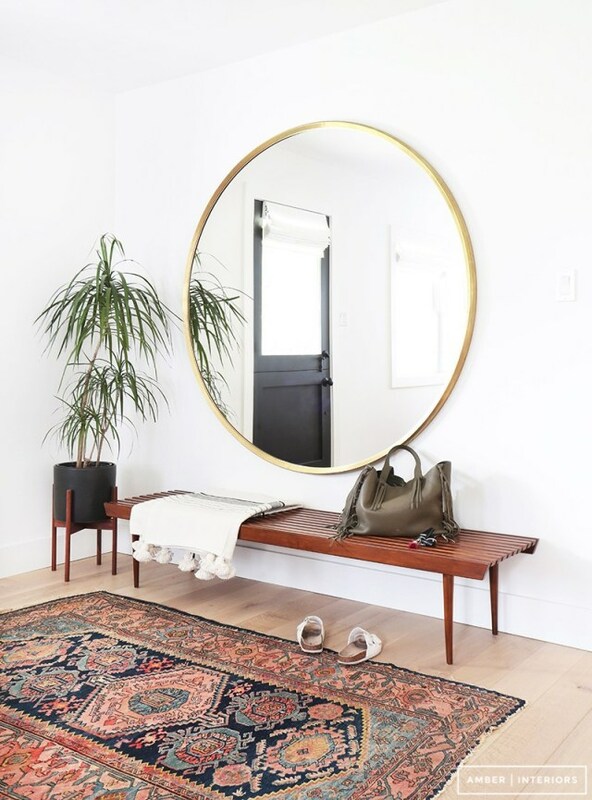 Round mirrors give a soft and welcoming impression and therefore we think that every home should have at least one round mirror. 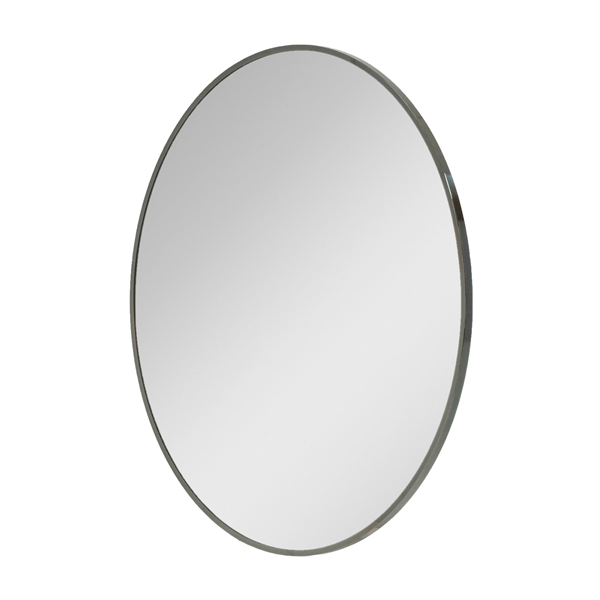 We are particularly fond of discrete mirrors without too much details, we think only a thin metal frame is enough. If you want to make an extra statement, choose a mirror that is generous in its diameter, at least 120 cm. But if you want a mirror above, for example, a console table, you can choose a mirror that is about 100 cm in diameter. 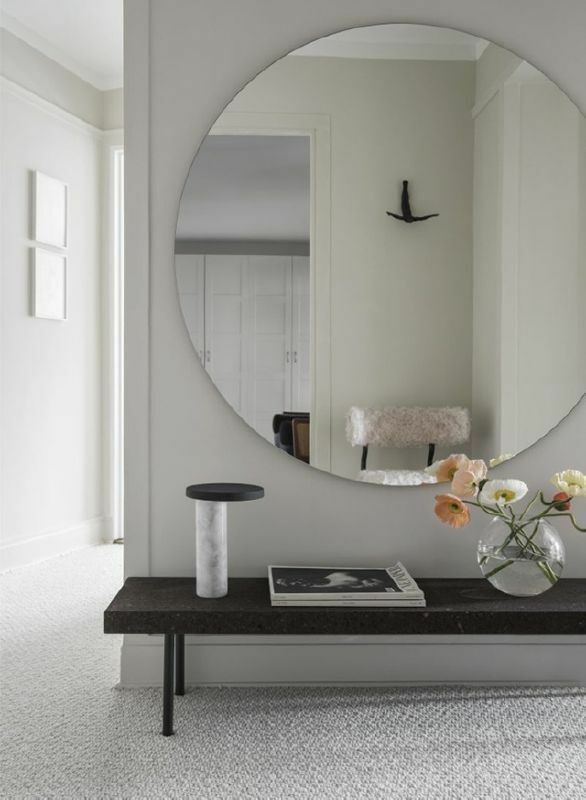 Below you will find some inspiring pictures of interior with round beautiful mirrors. 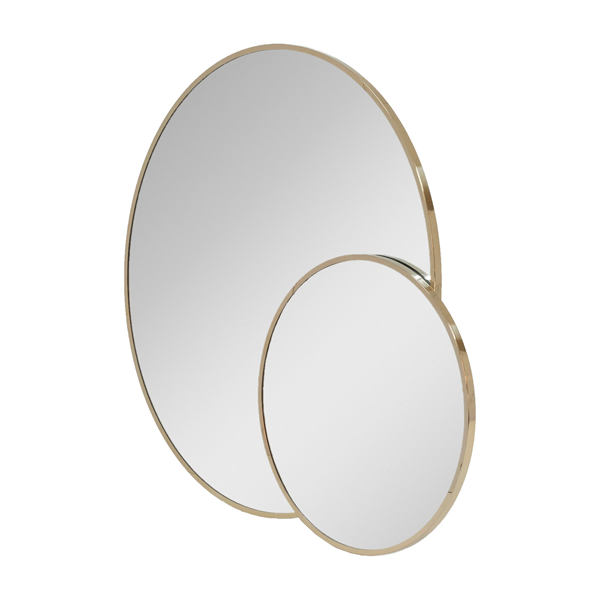 In our collection we have mirrors in various sizes and shapes and when it comes to round mirrors you can choose between size 60 cm, 100 cm and 130 cm in diameter. 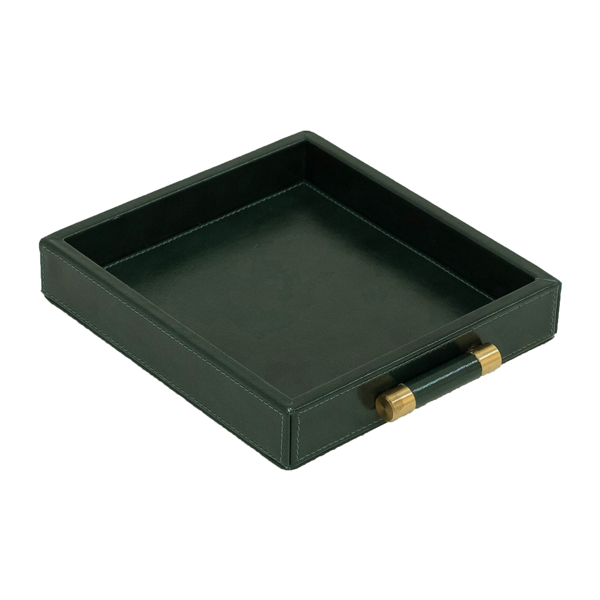 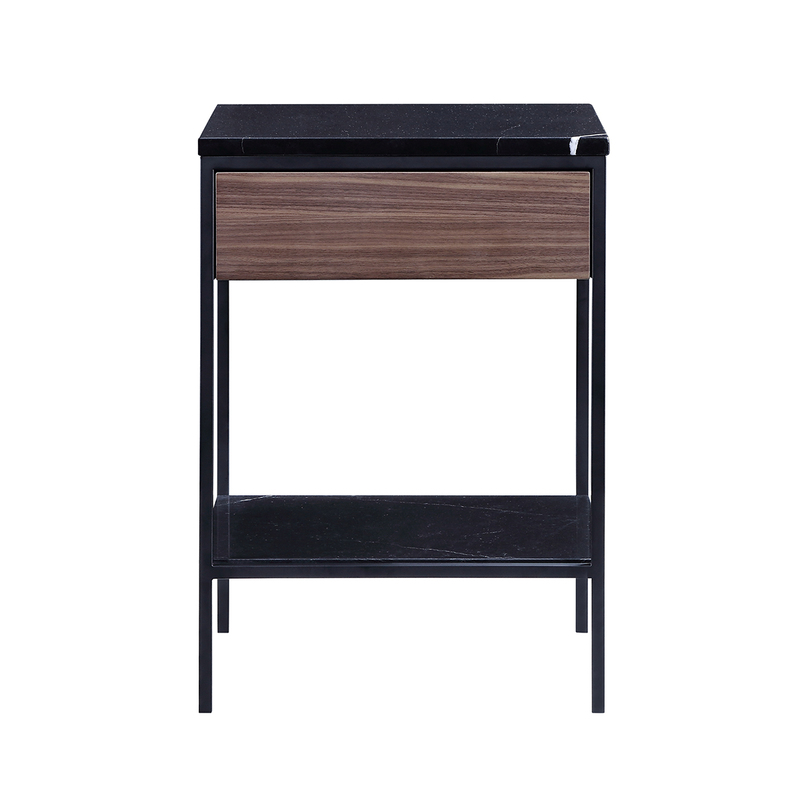 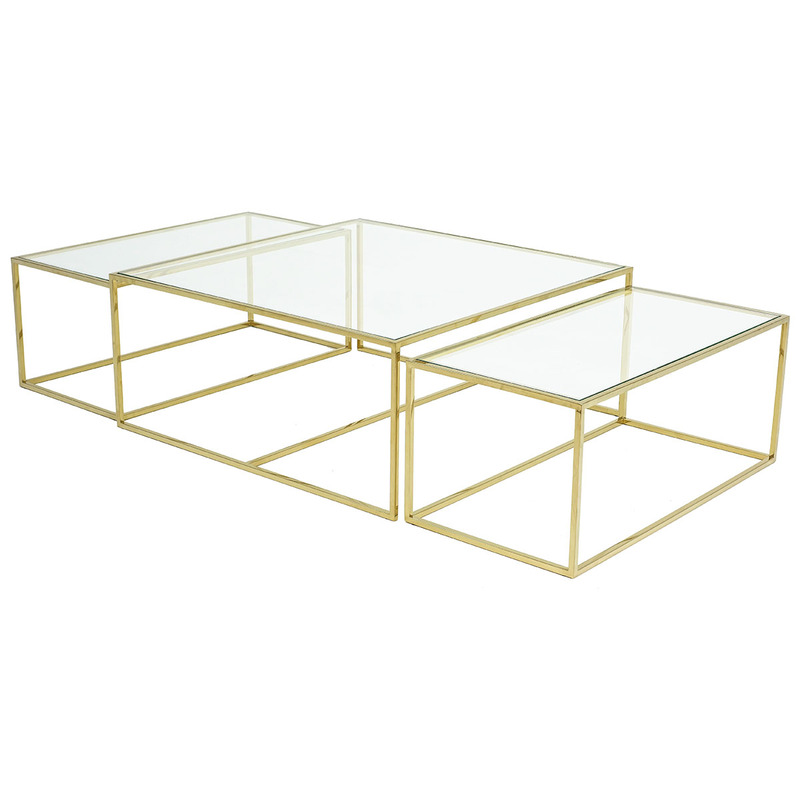 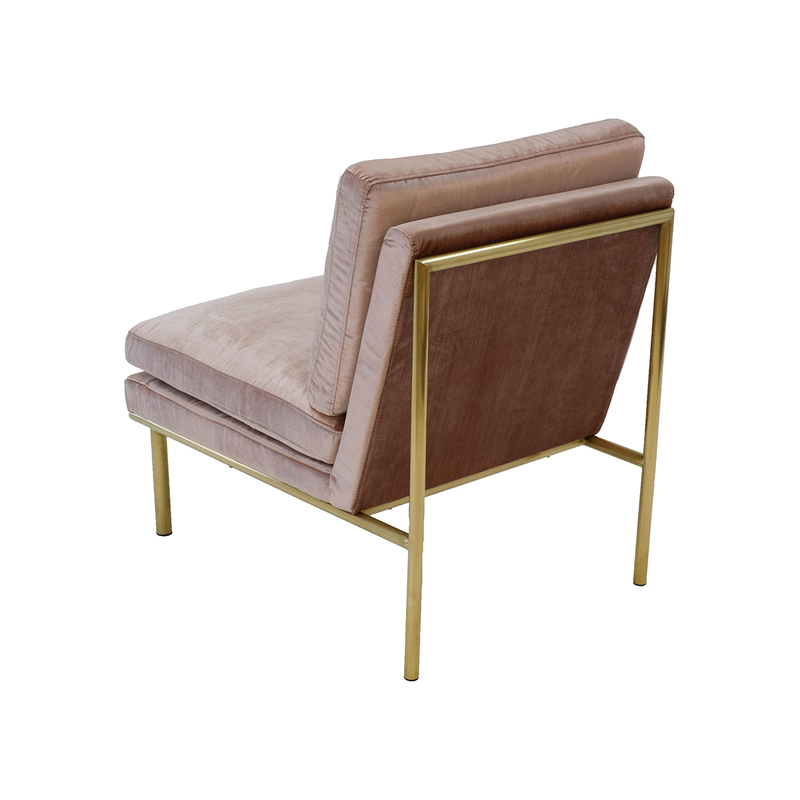 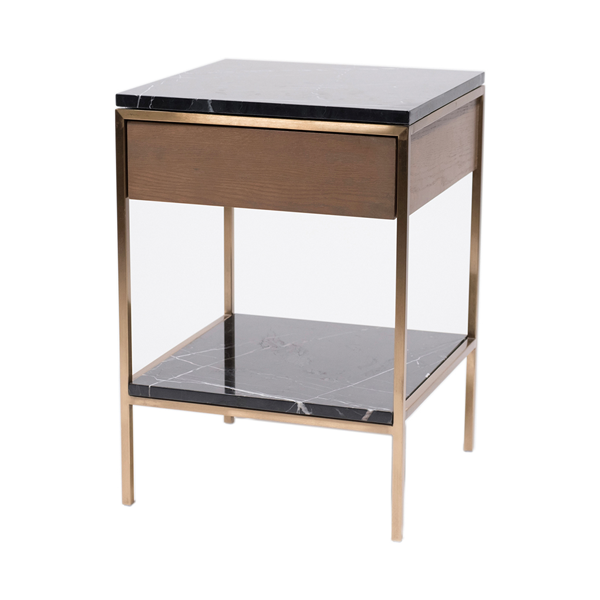 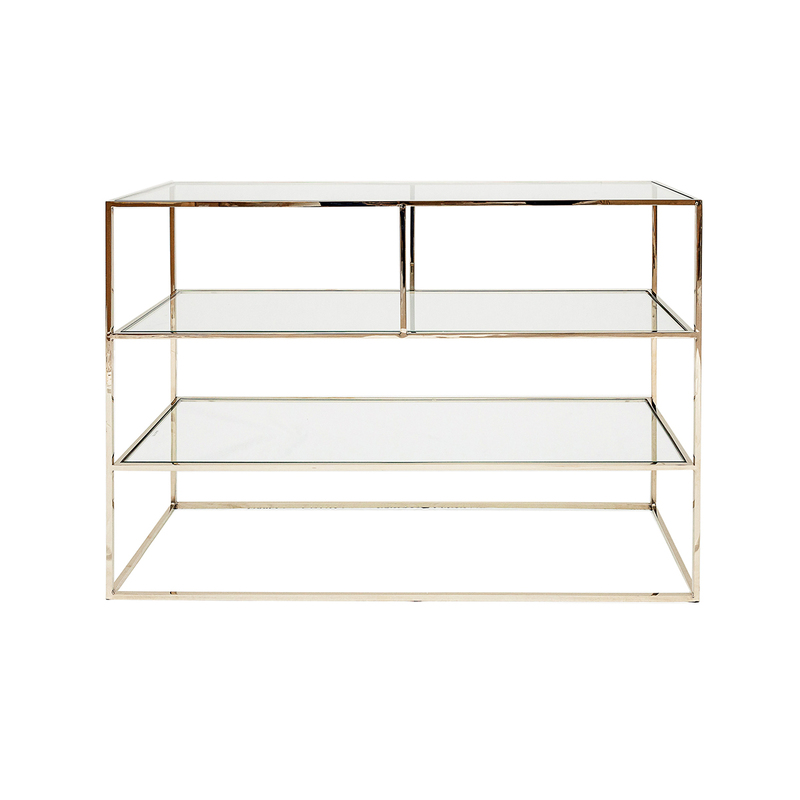 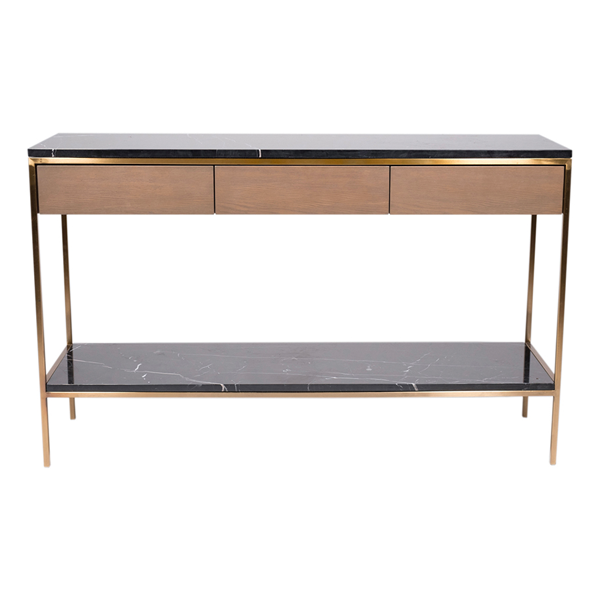 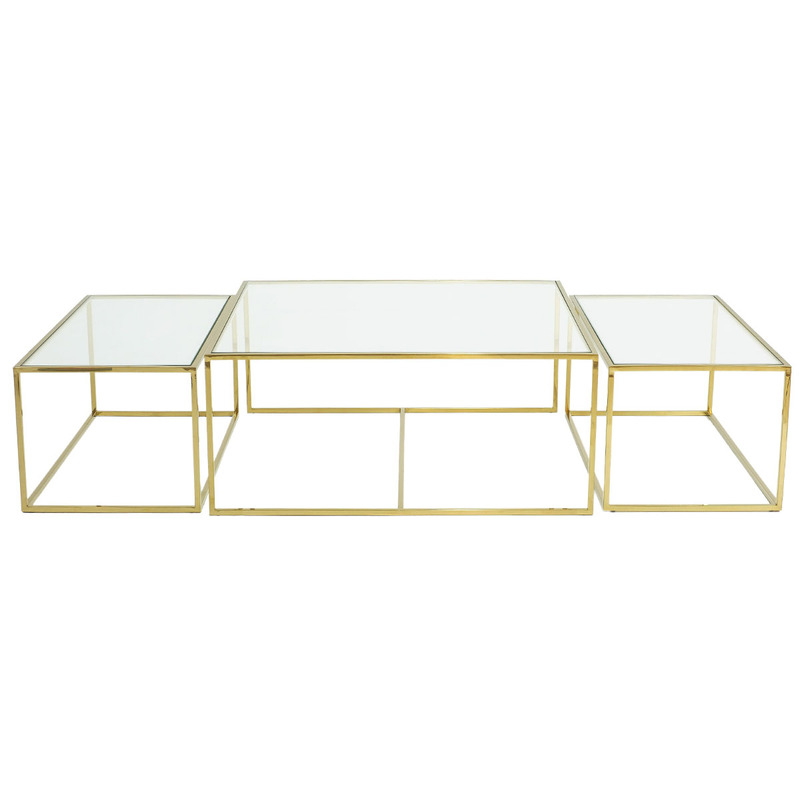 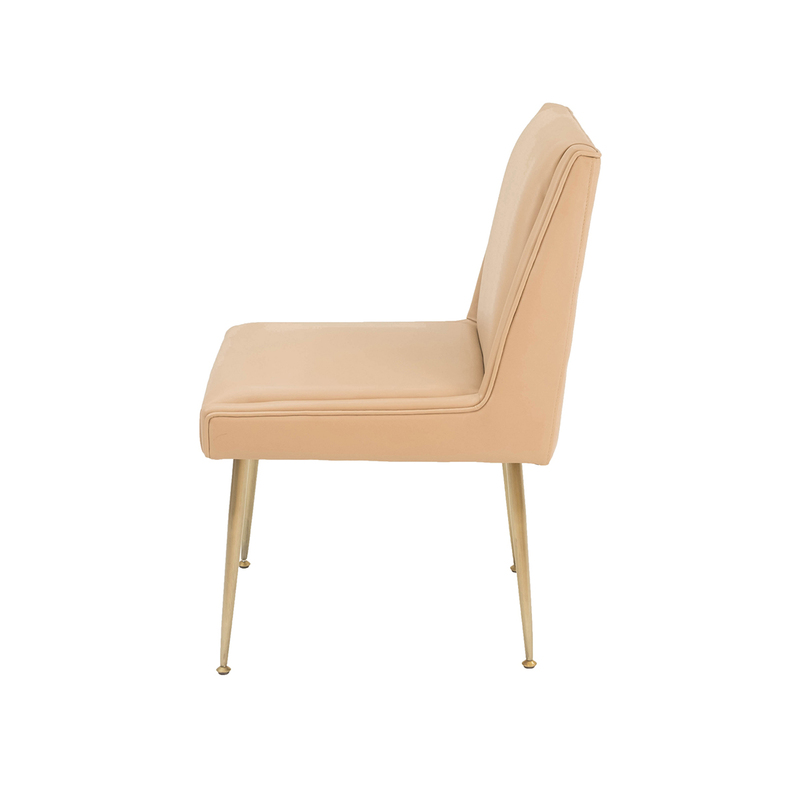 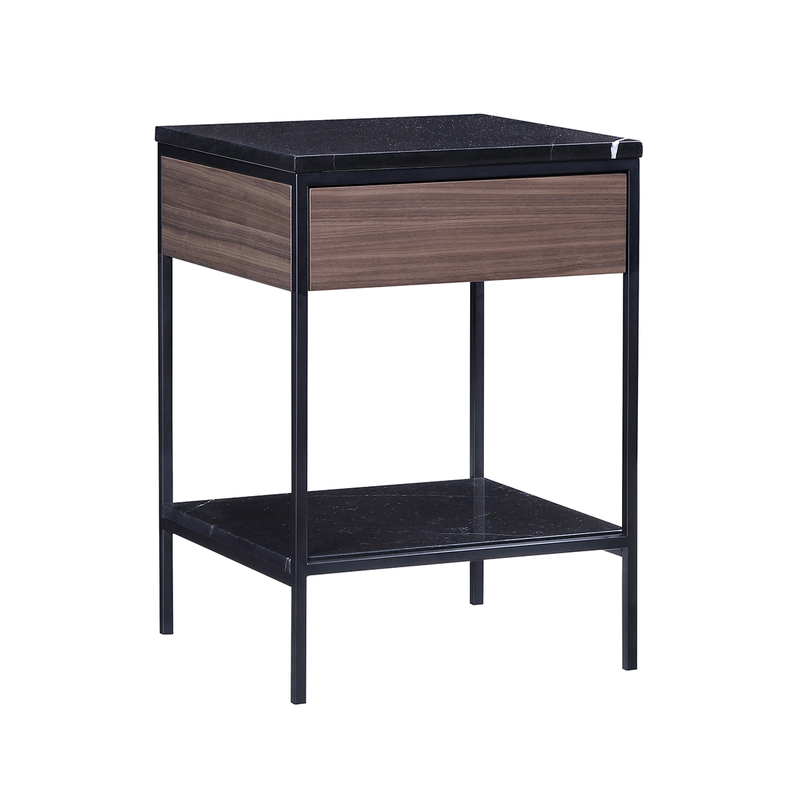 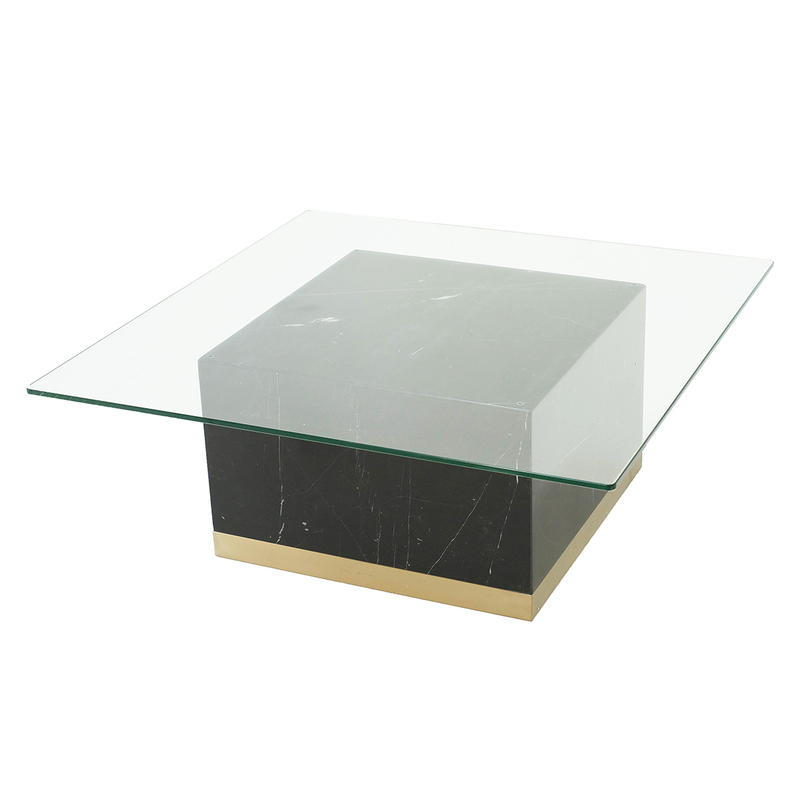 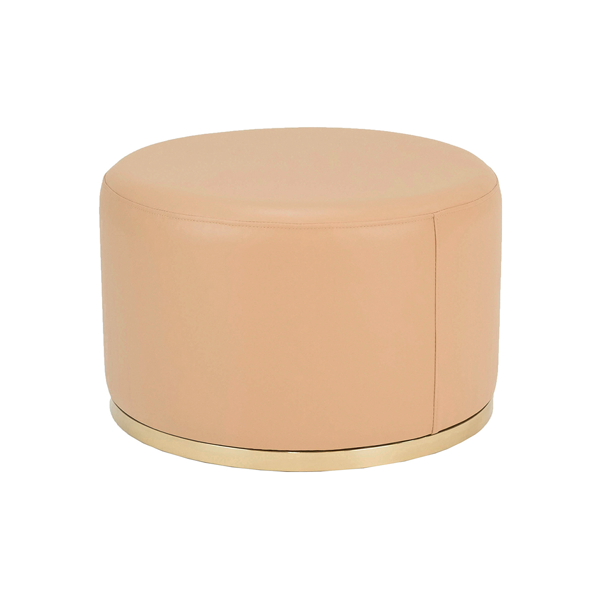 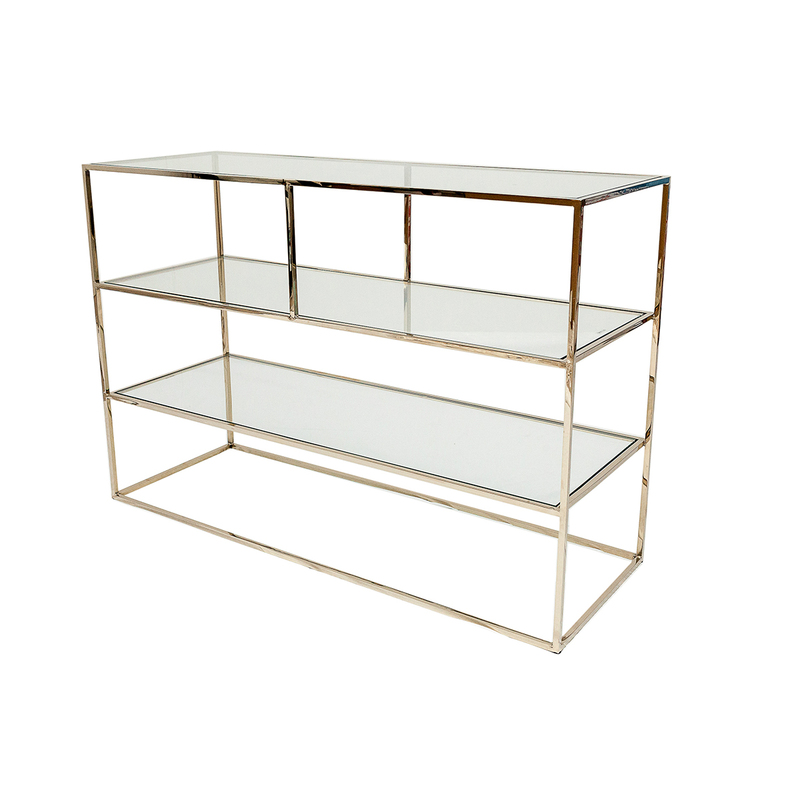 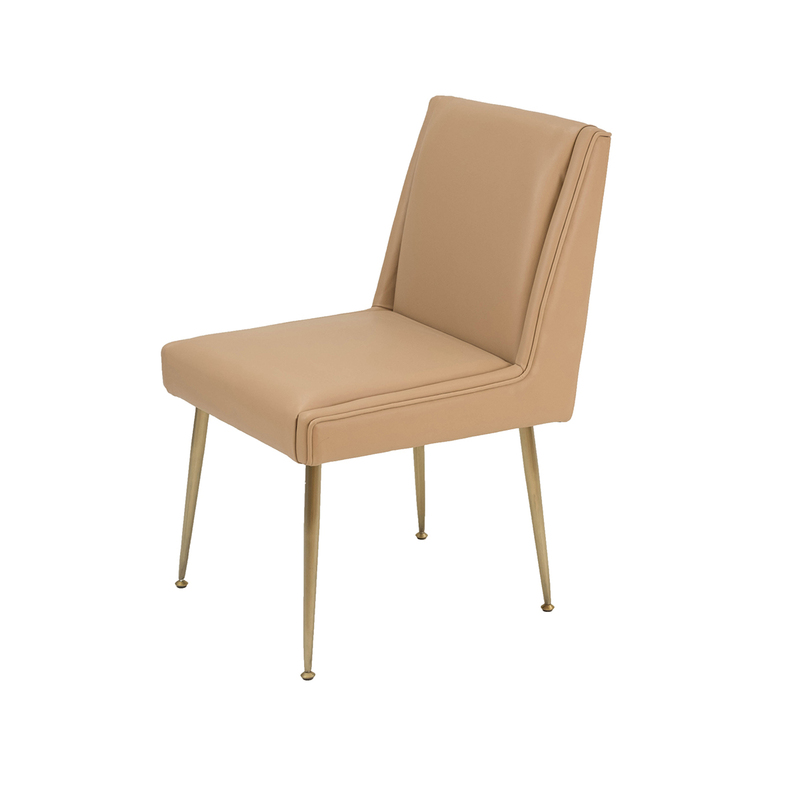 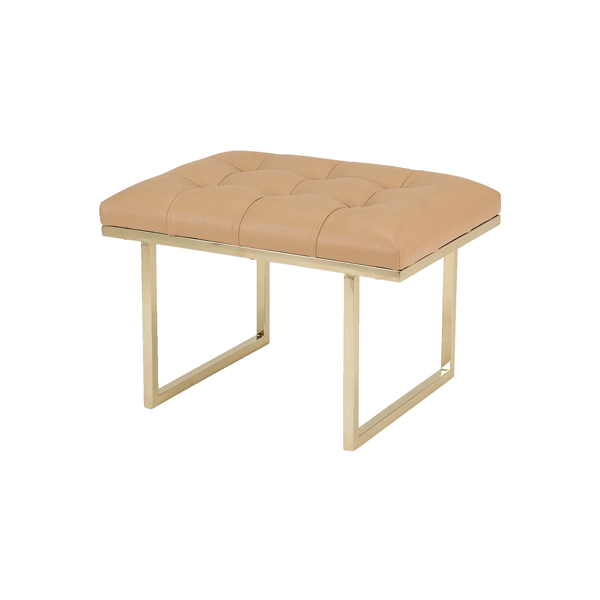 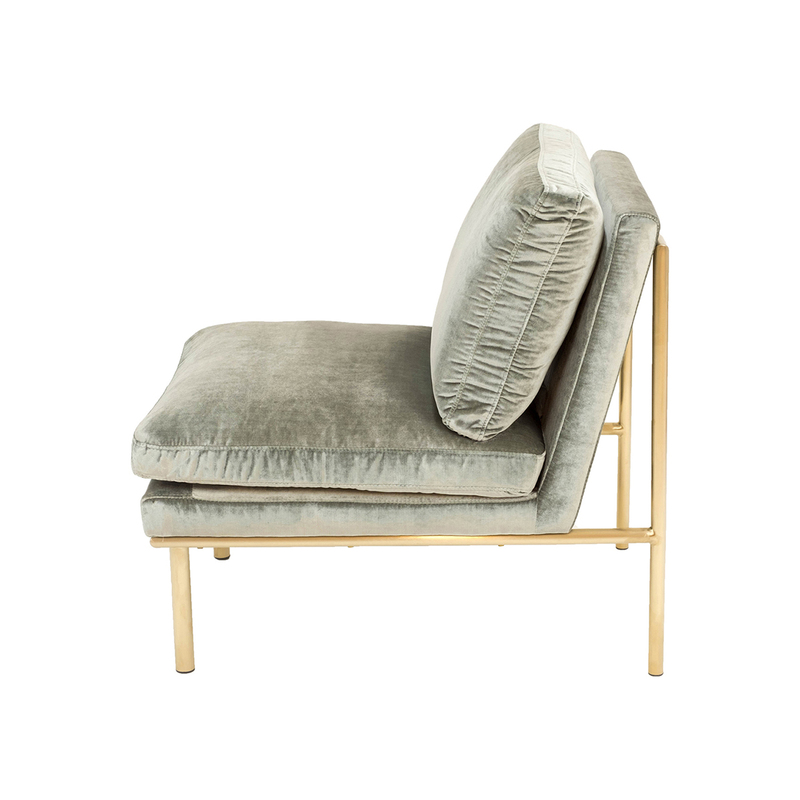 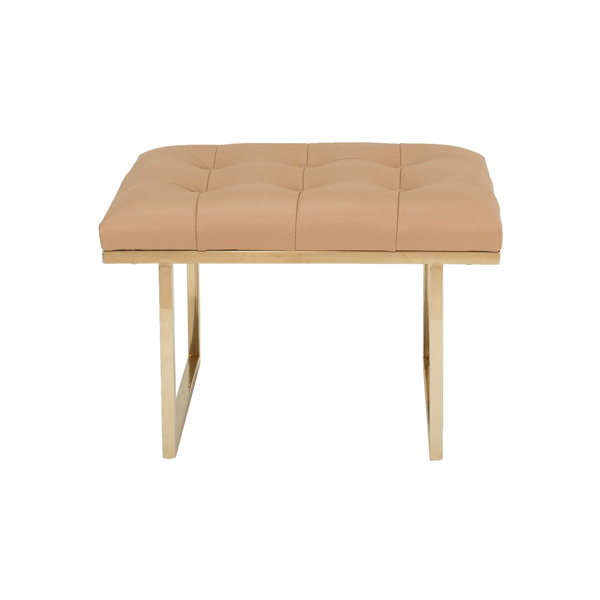 The frame is available in polished brass, chrome and black chrome. 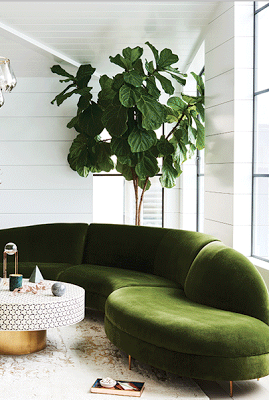 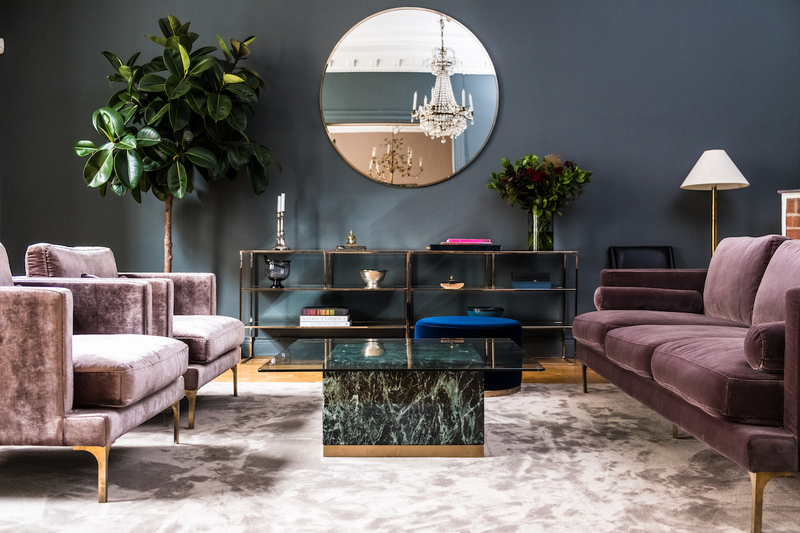 A material that really got a boost within interior design in recent years is the beautiful velvet, and it looks like it is a material that is here to stay! 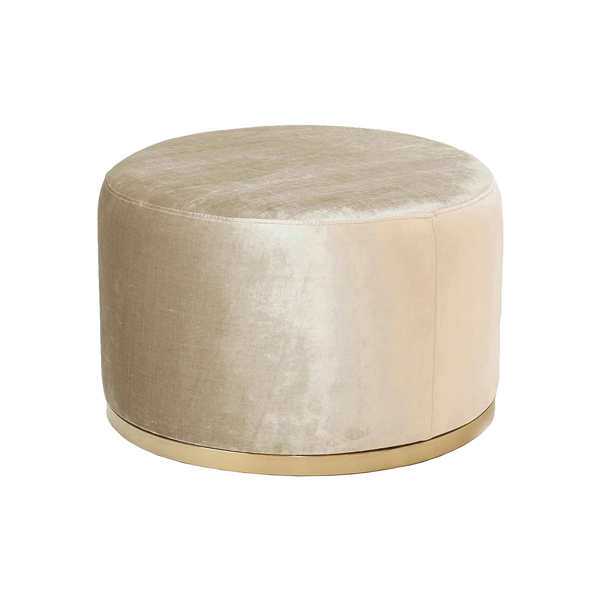 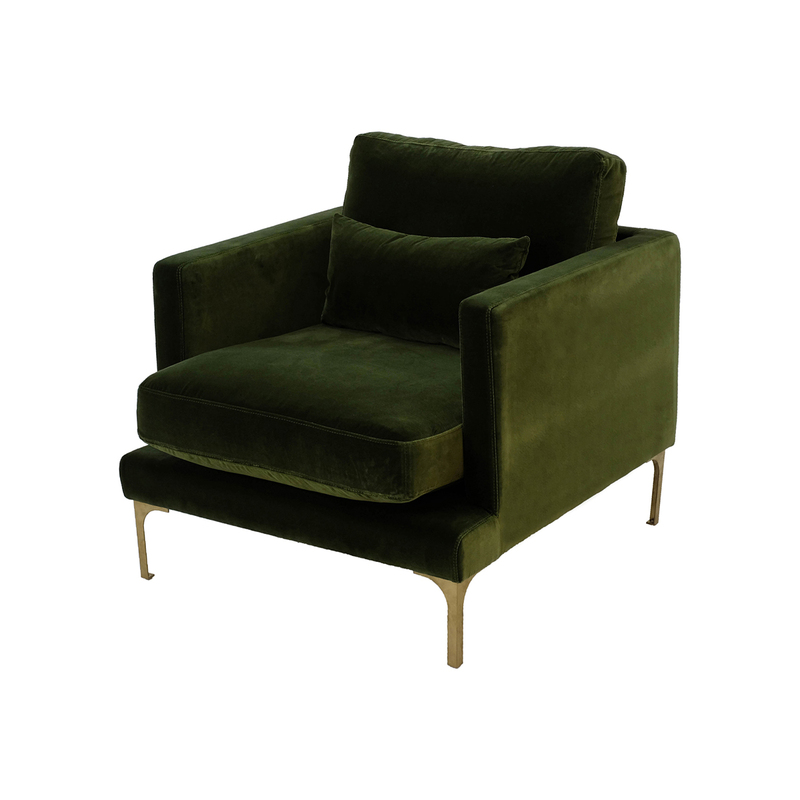 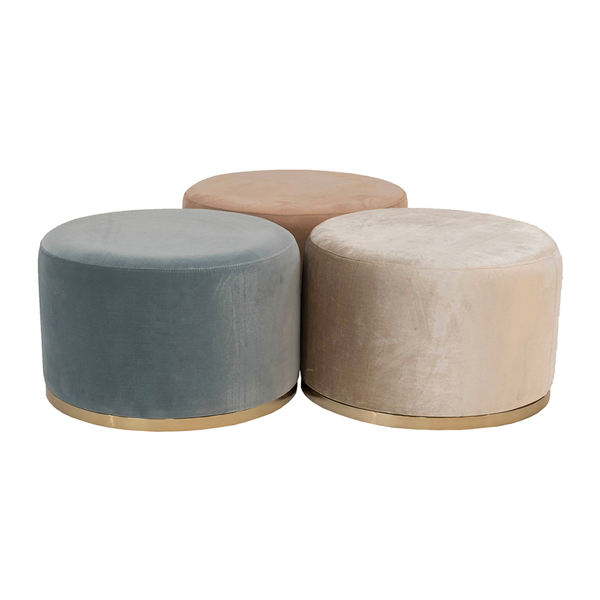 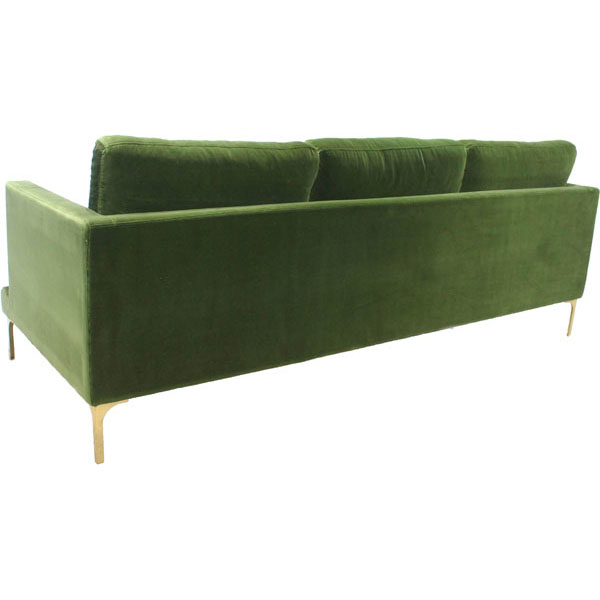 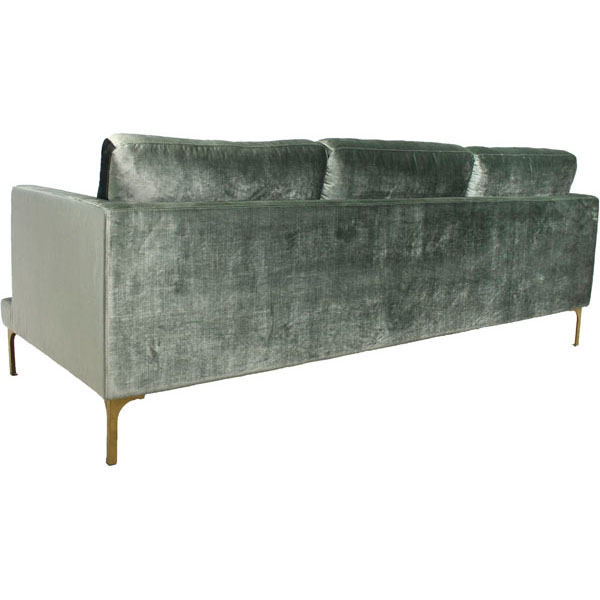 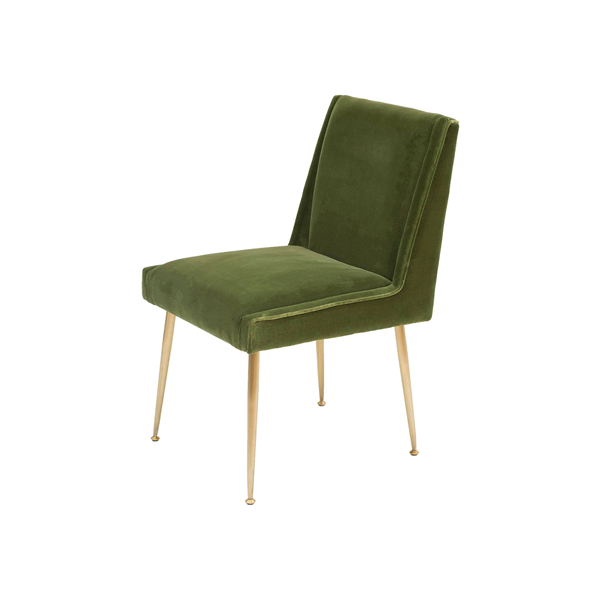 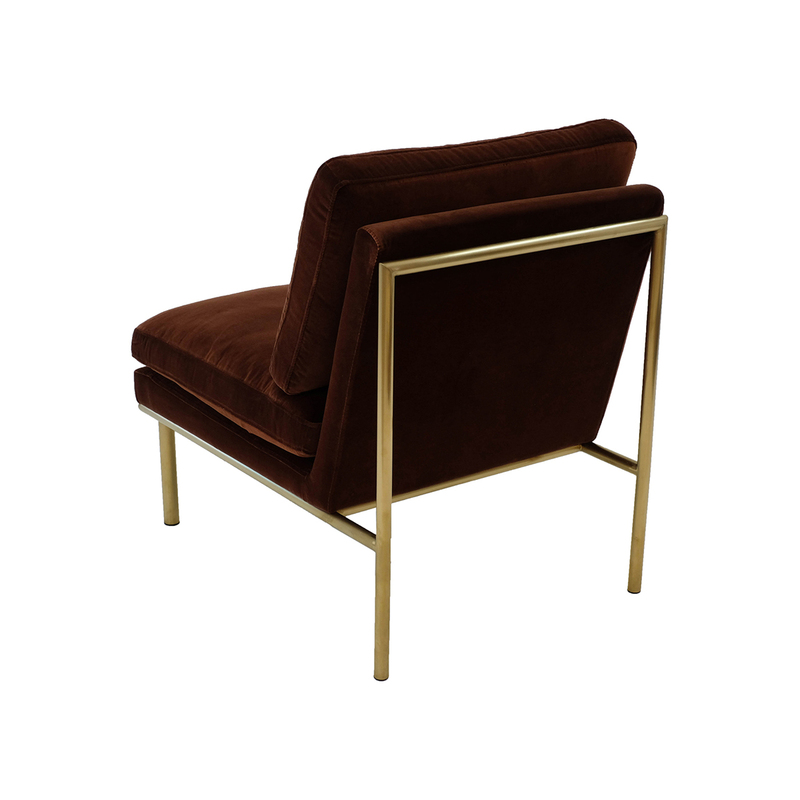 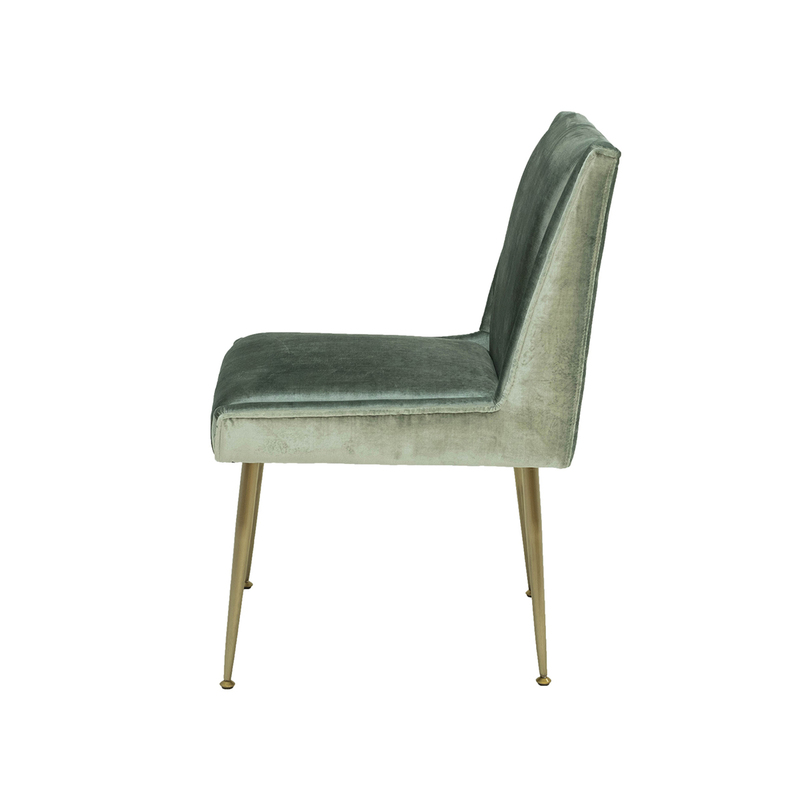 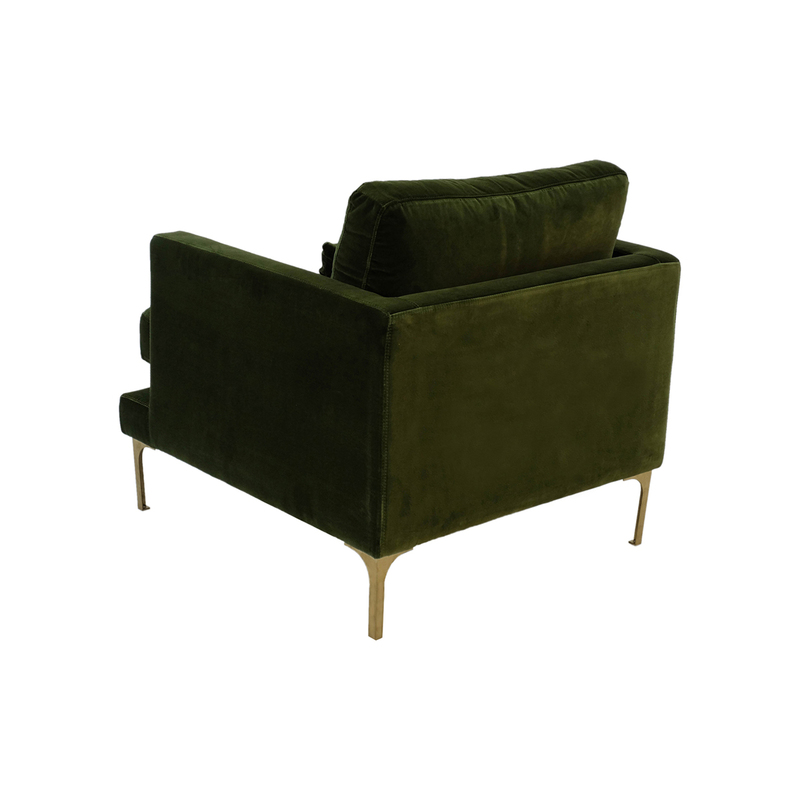 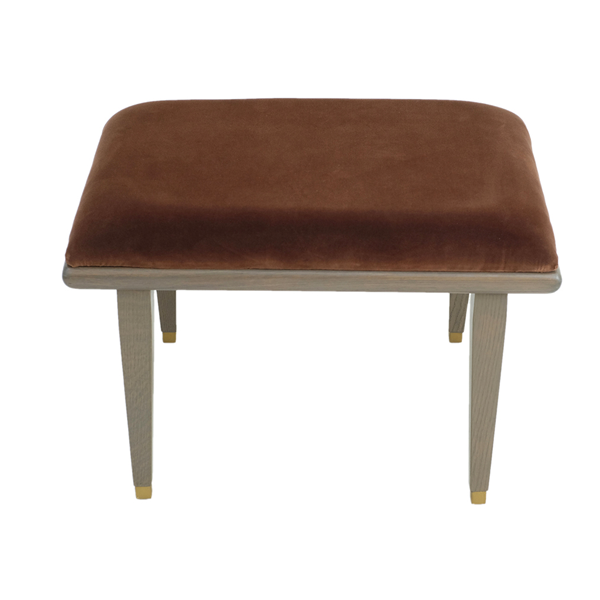 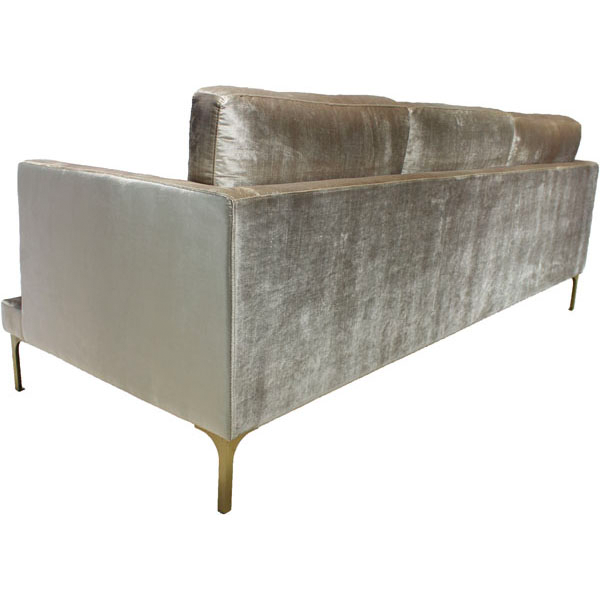 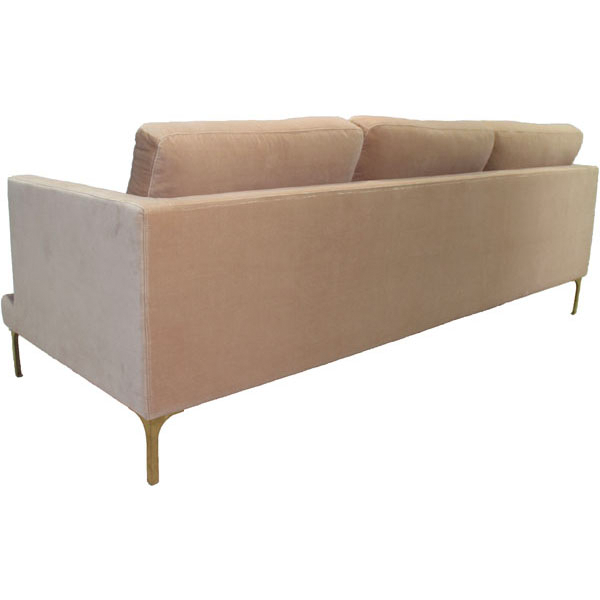 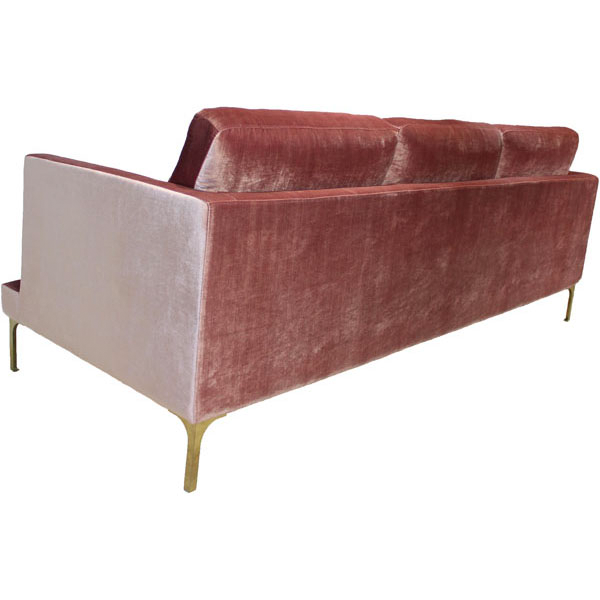 We love to work with velvet and therefore we sell everything from velvet sofas and velvet armchairs to velvet poufs and velvet benches. 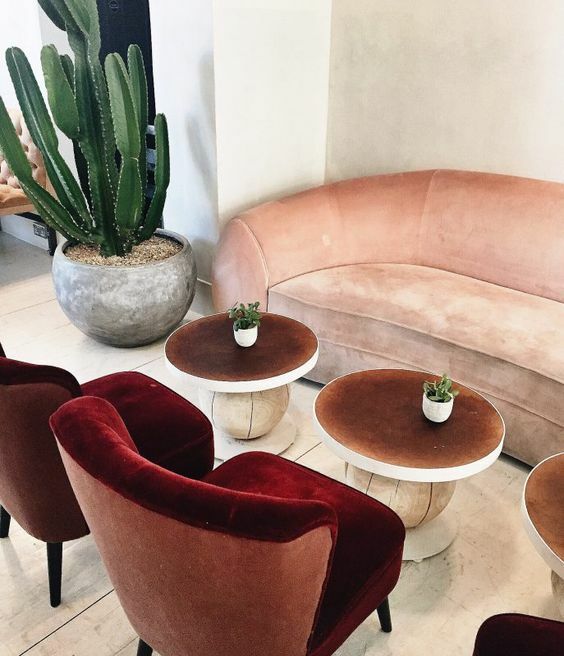 The history of velvet dates back hundreds of years in time, some claiming that the velvet developed already 2000 years ago. 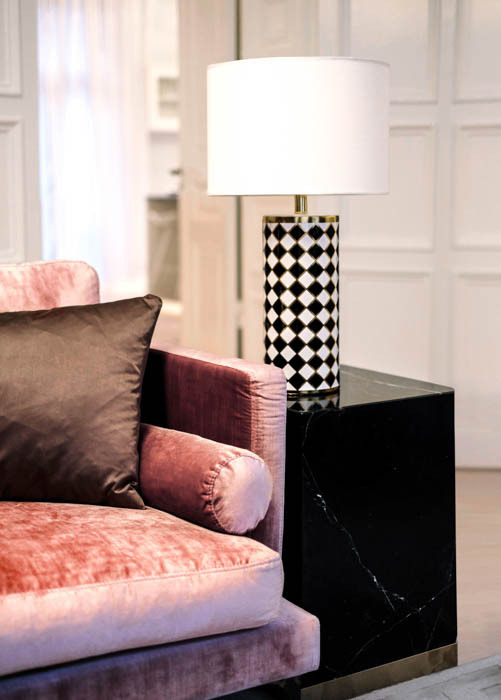 With its beautiful and soft appearance and high production cost, the velvet was associated with royalty, but today it is widely used in both interior and fashion. 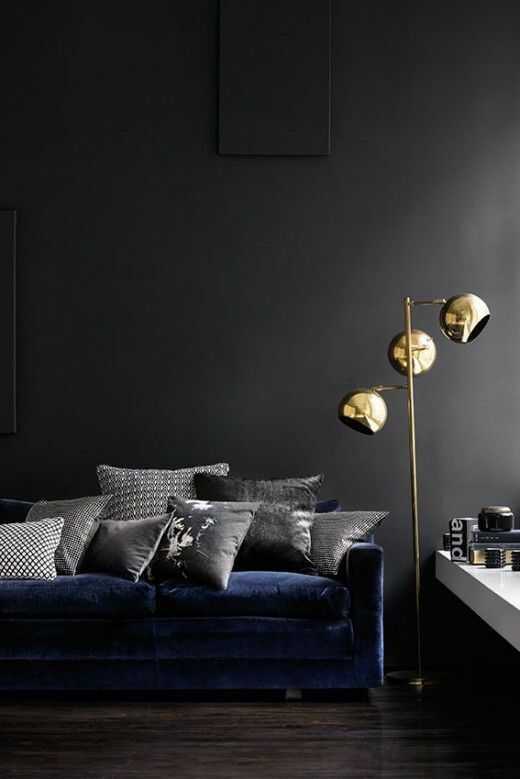 Velvet can be made from natural materials such as cotton but also from synthetic materials such as polyester or viscose. 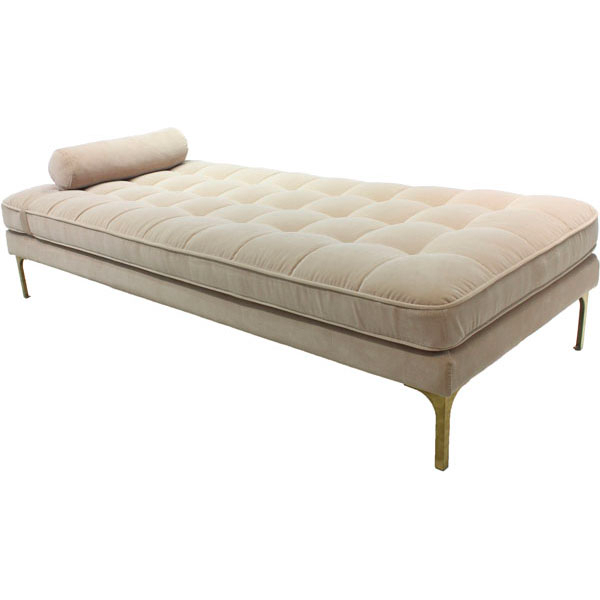 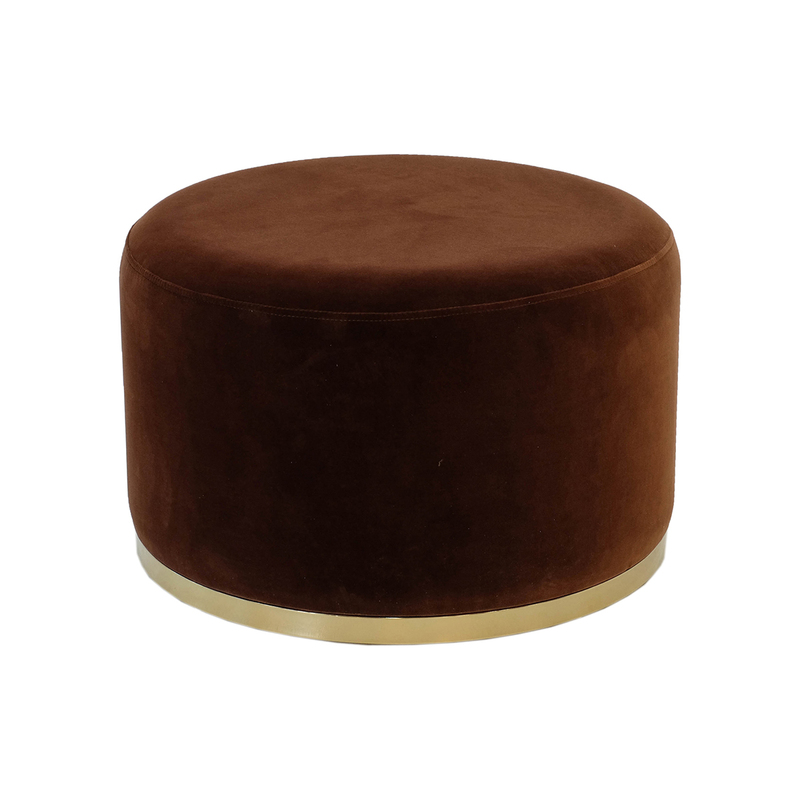 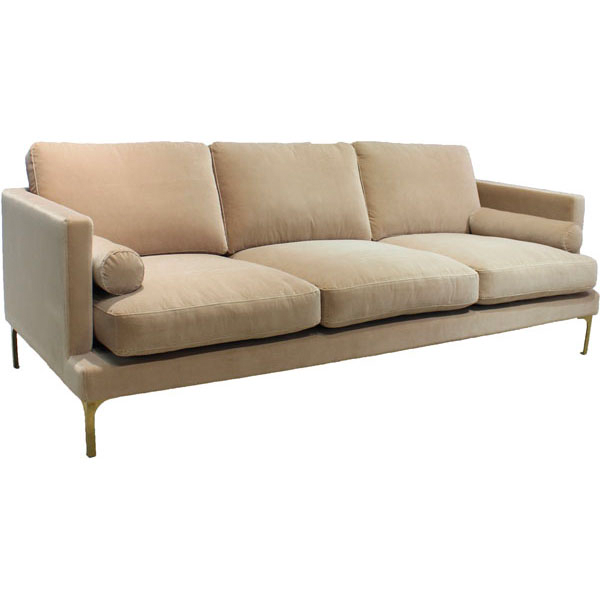 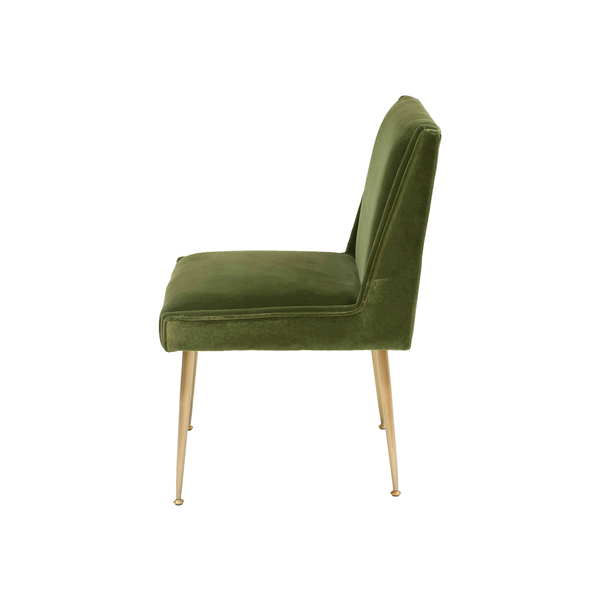 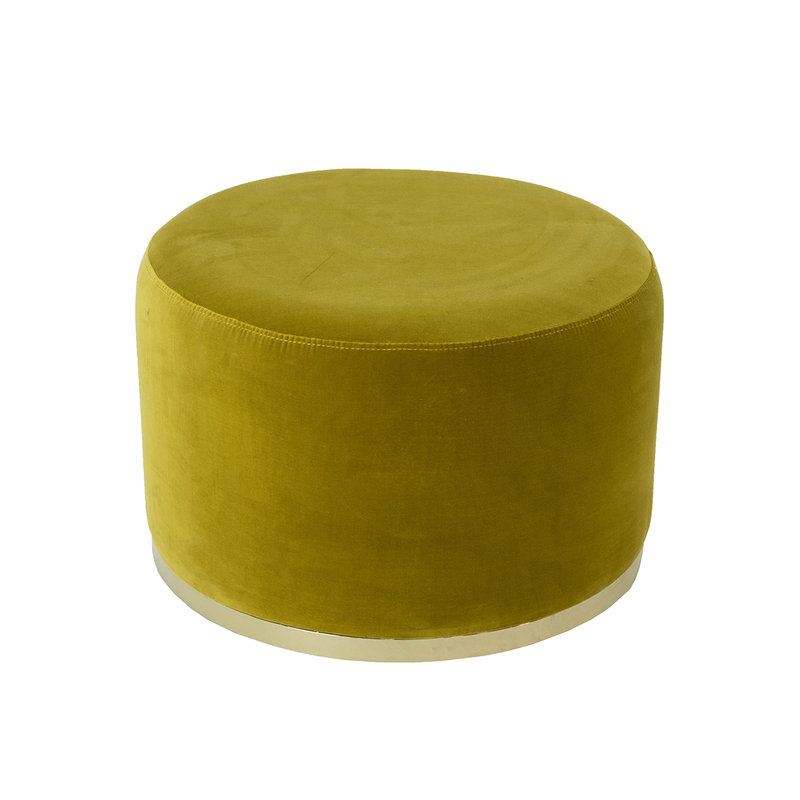 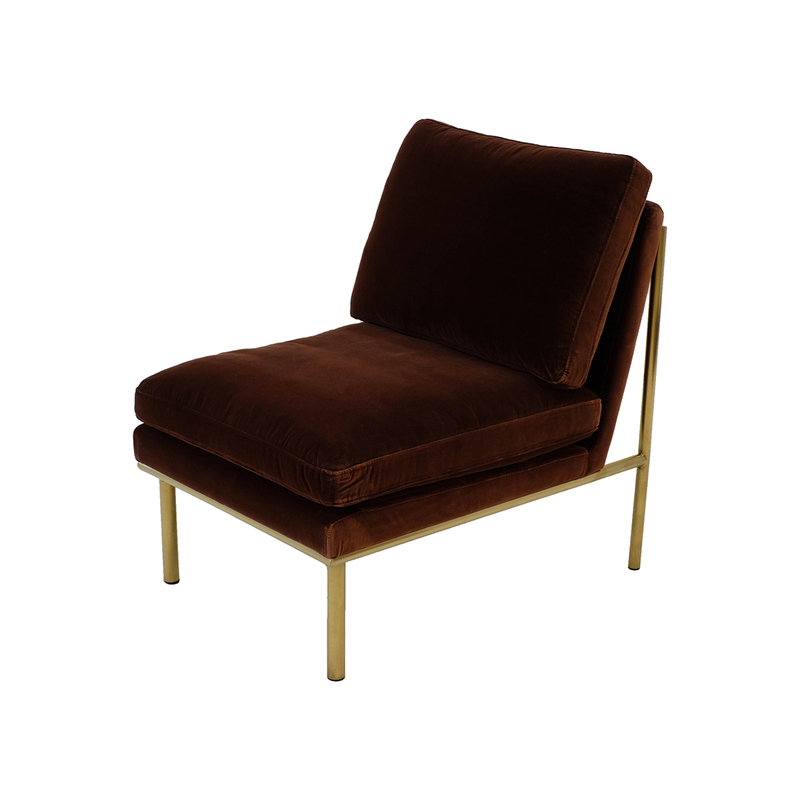 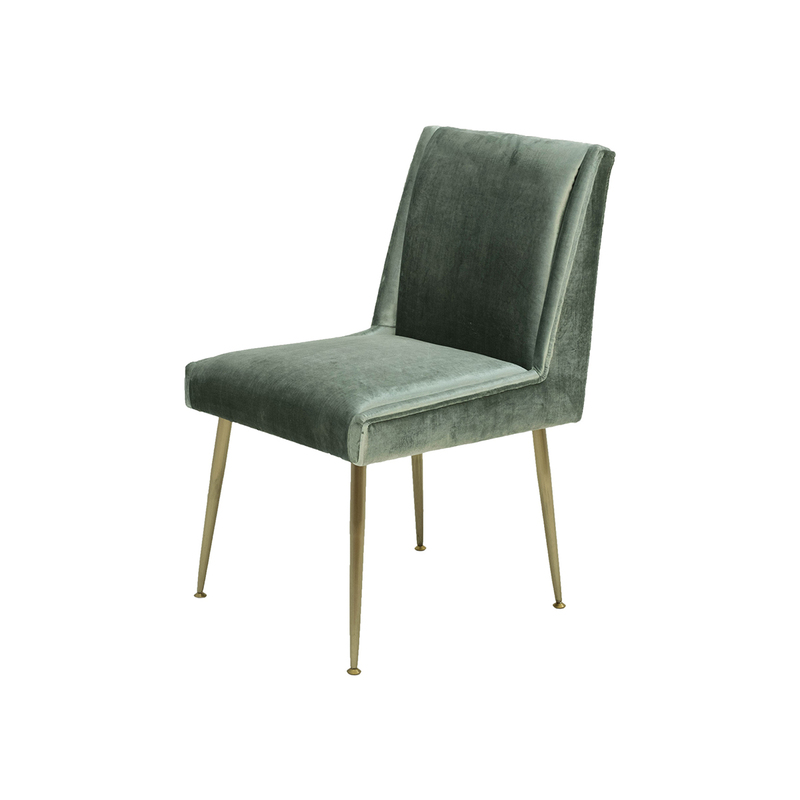 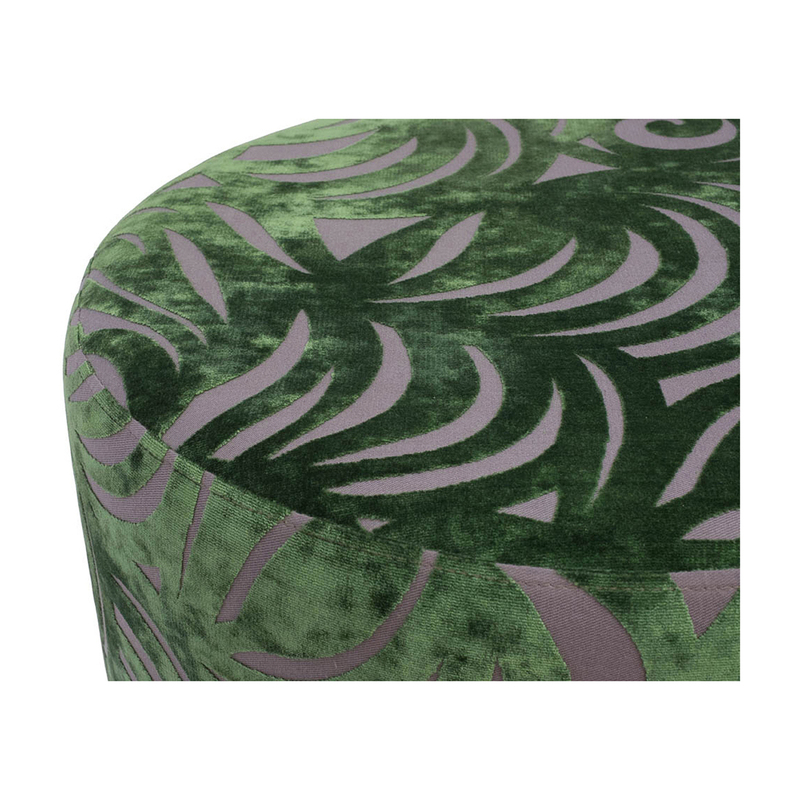 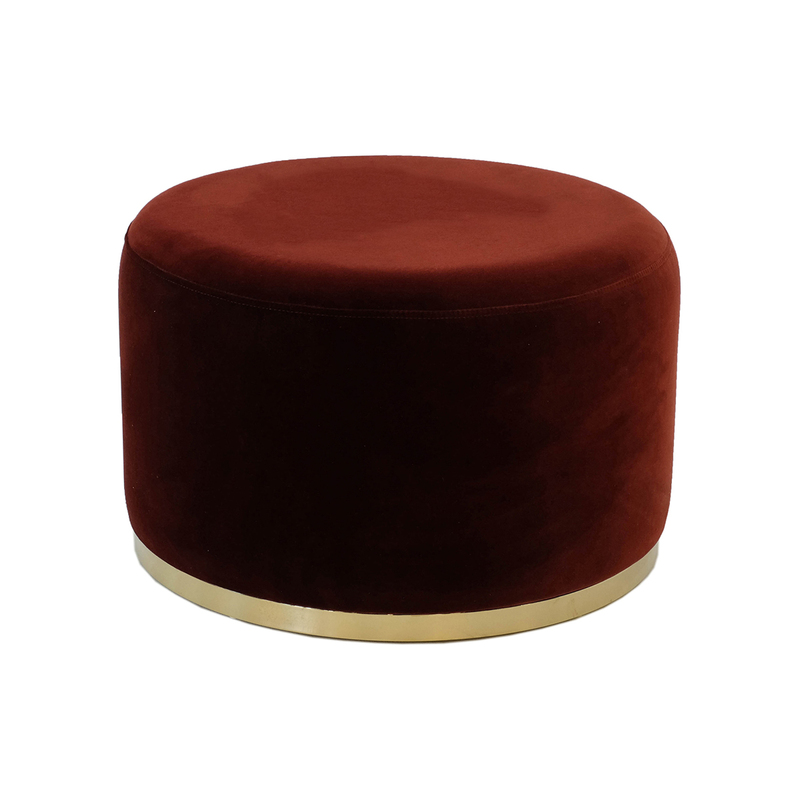 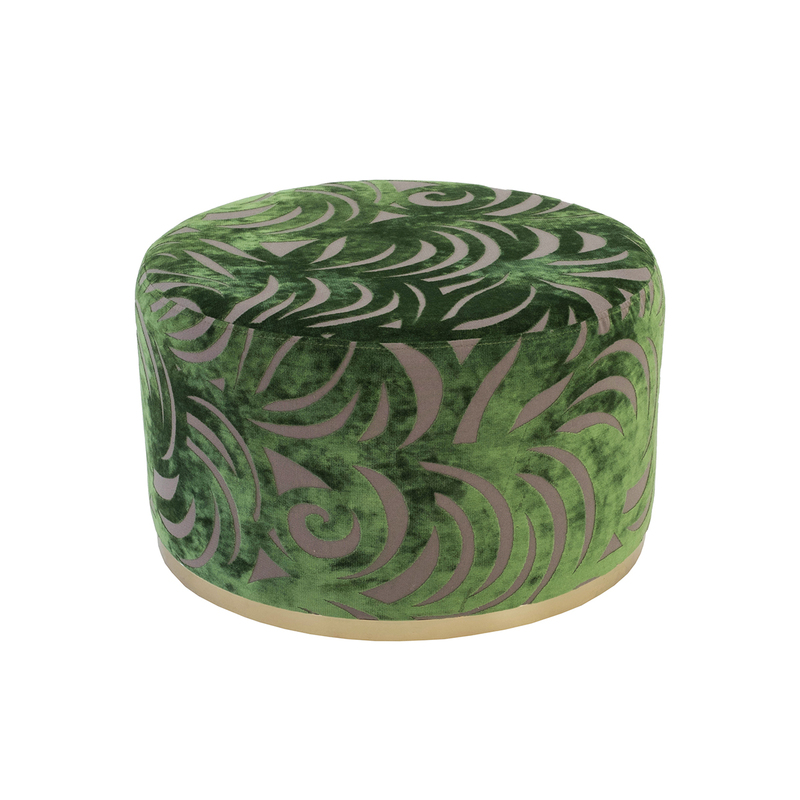 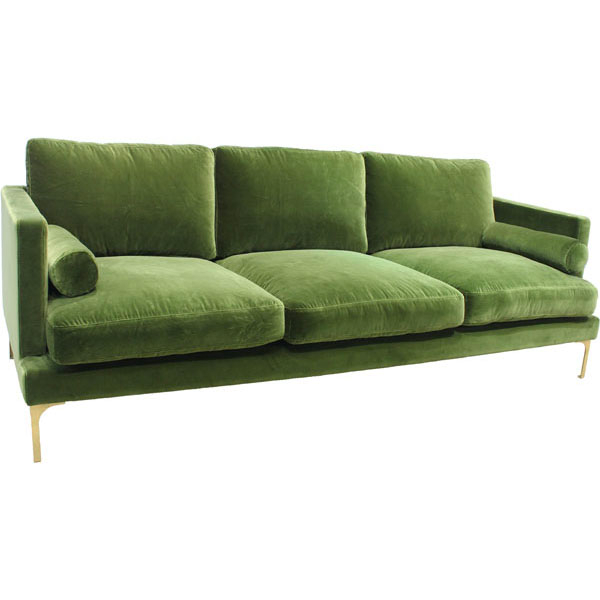 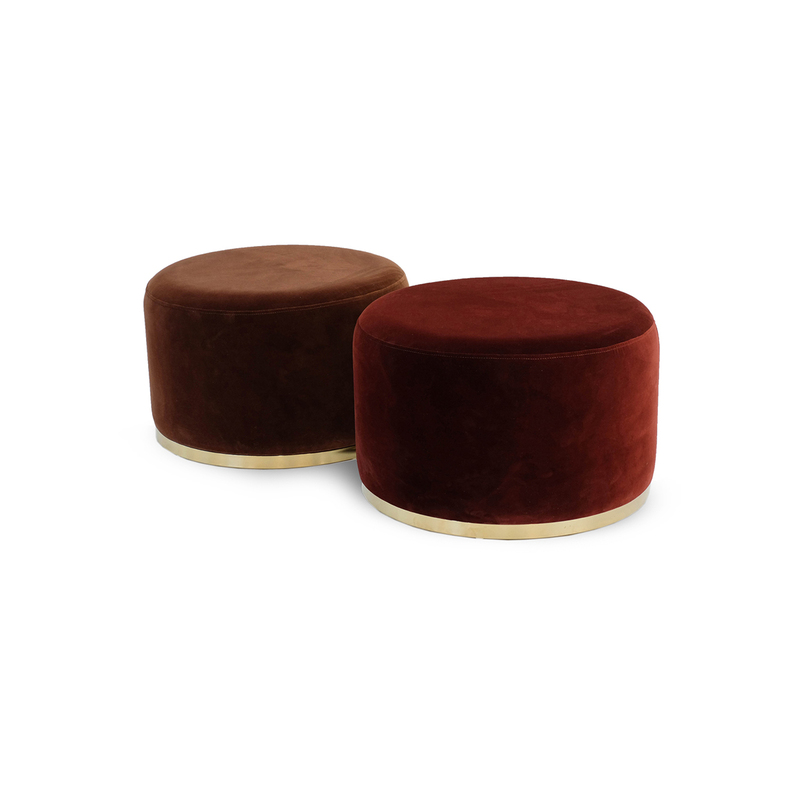 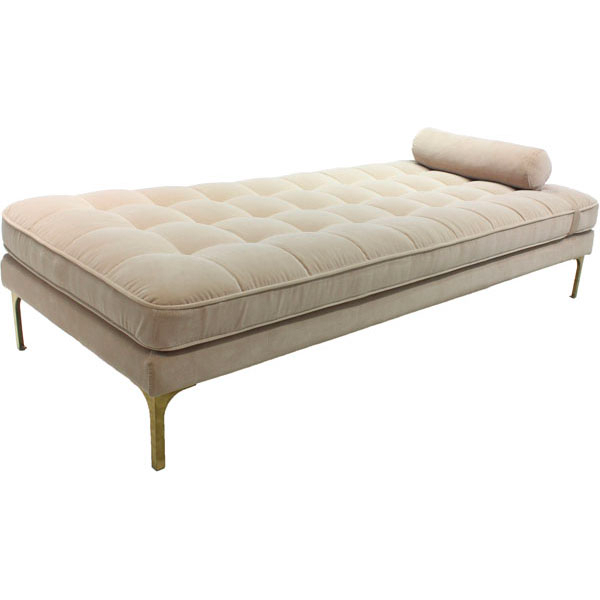 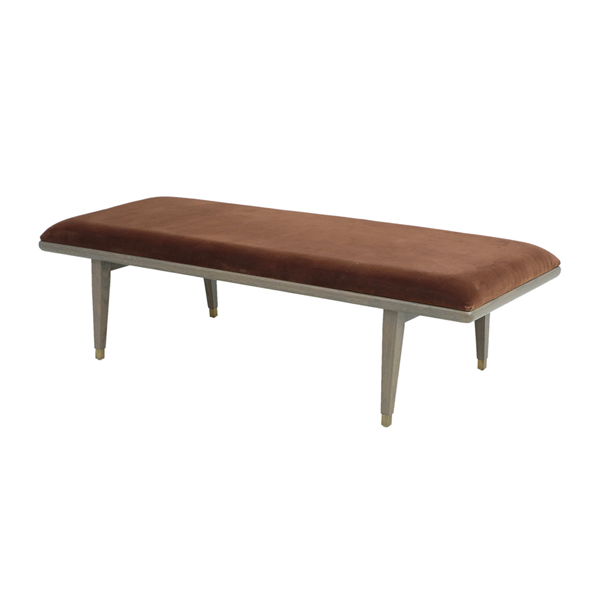 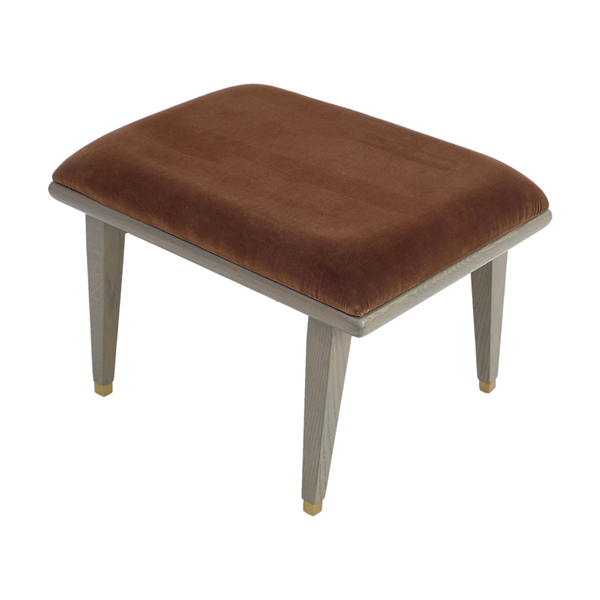 We sell furniture made of both cotton and polyester velvet. 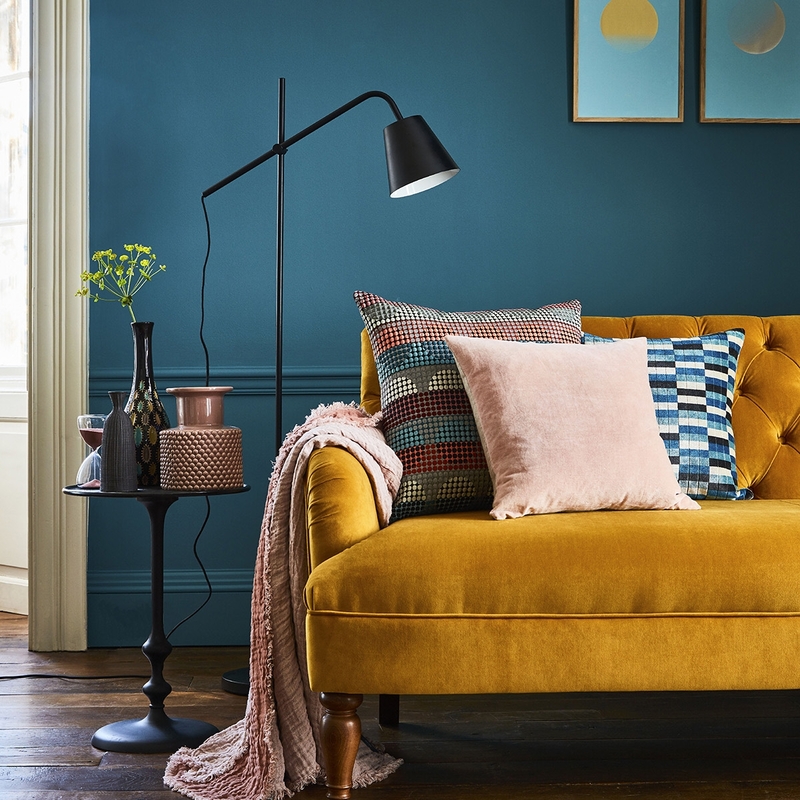 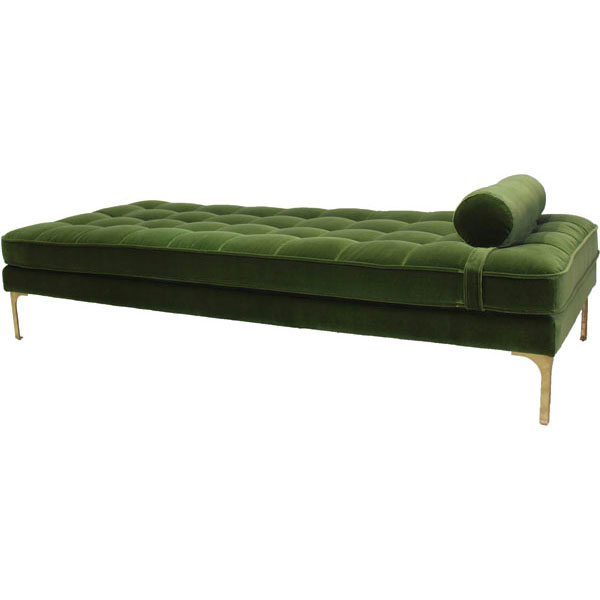 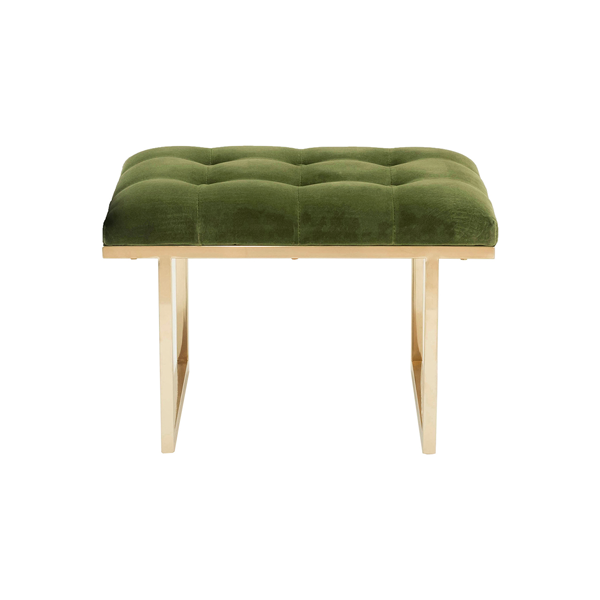 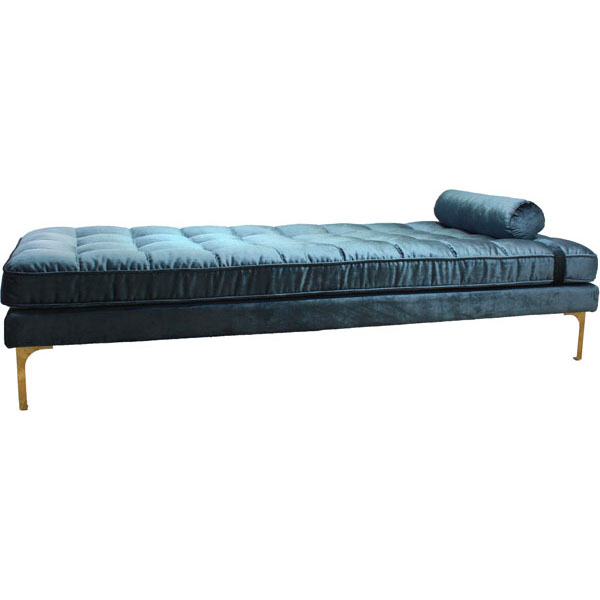 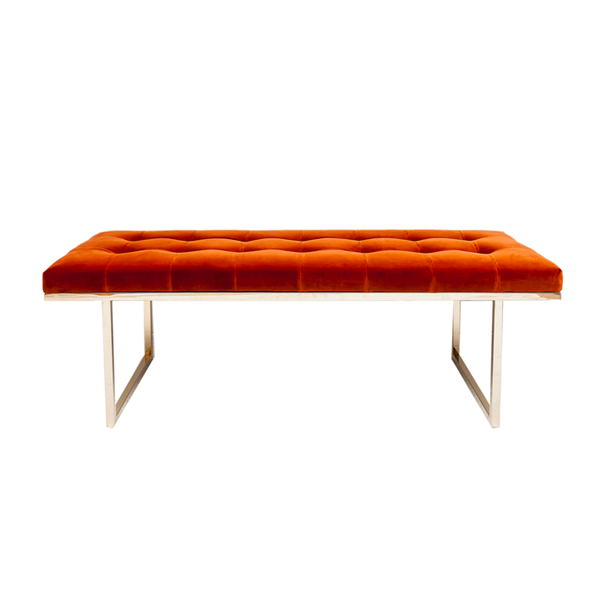 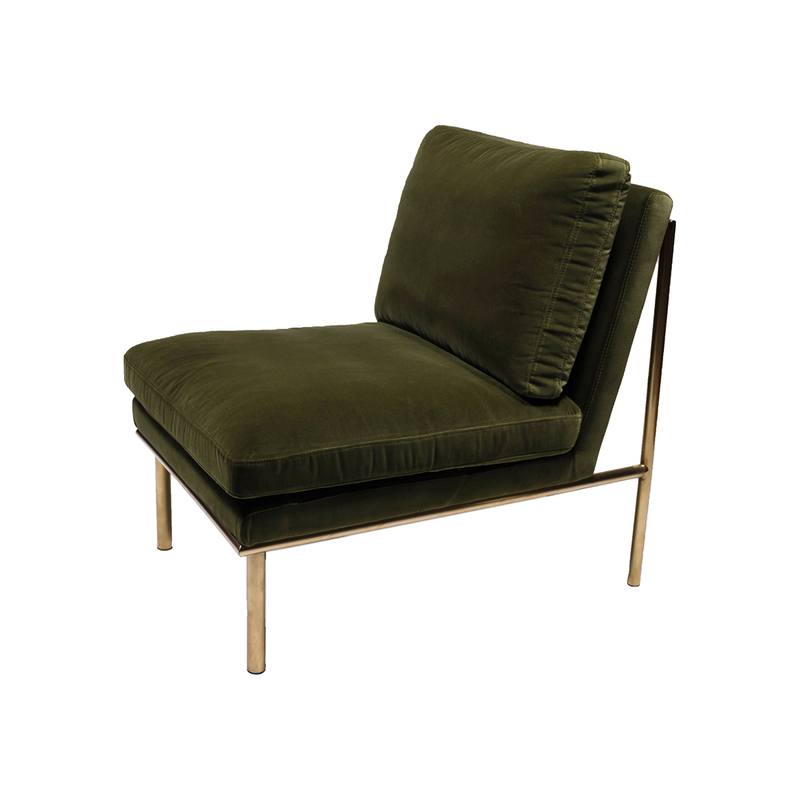 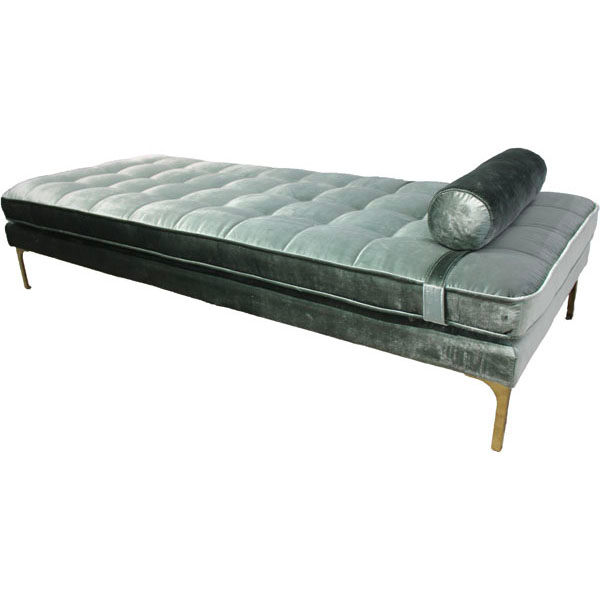 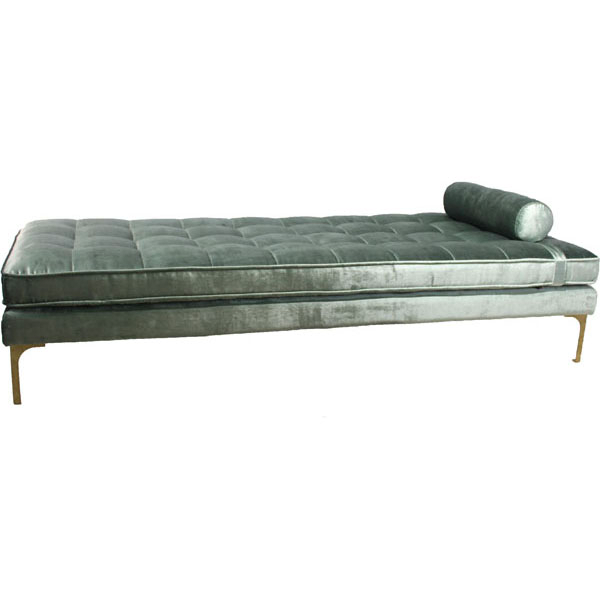 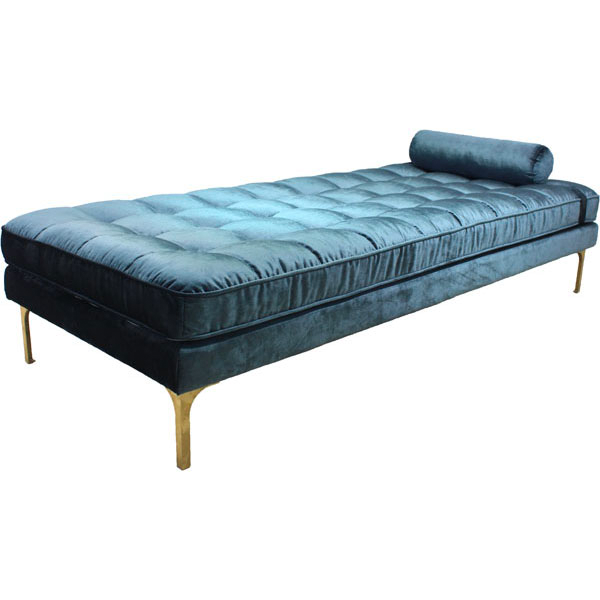 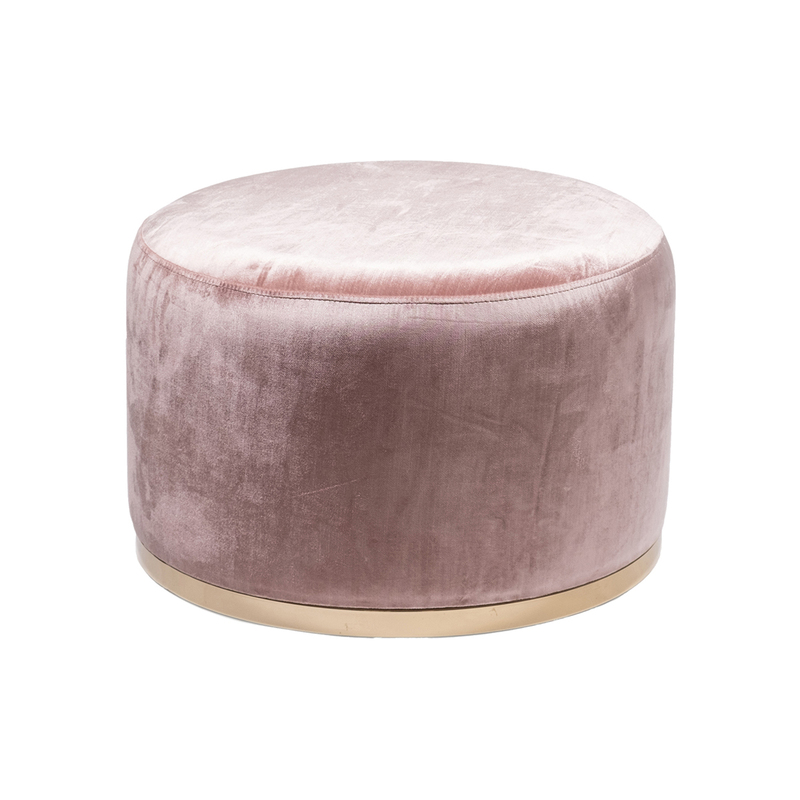 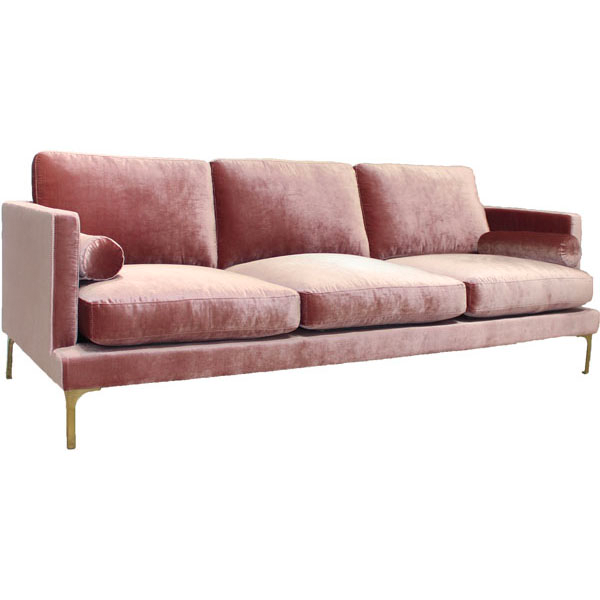 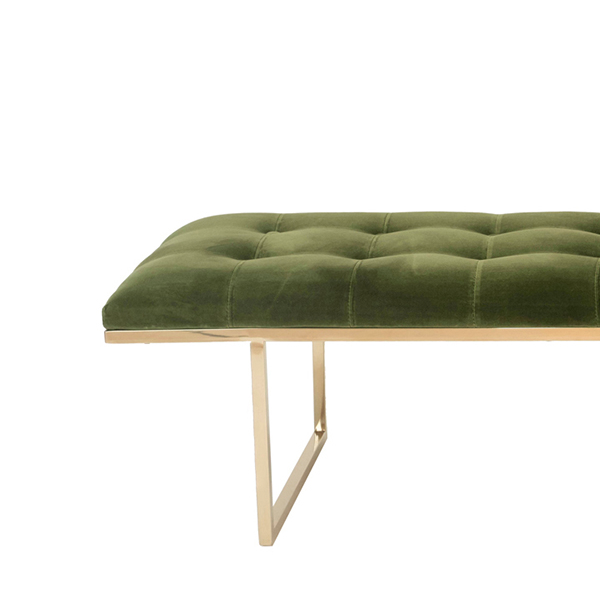 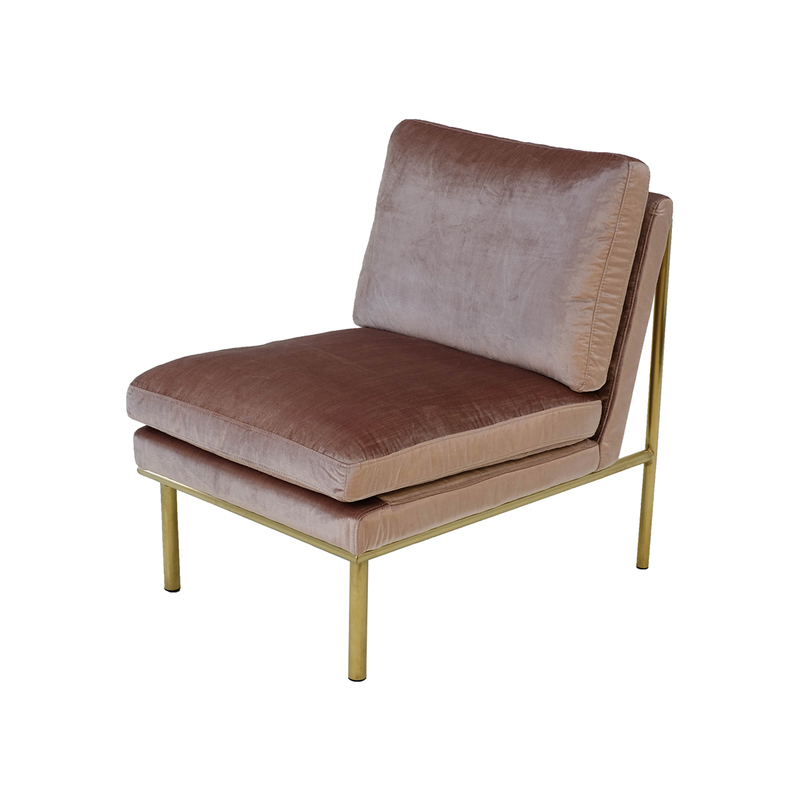 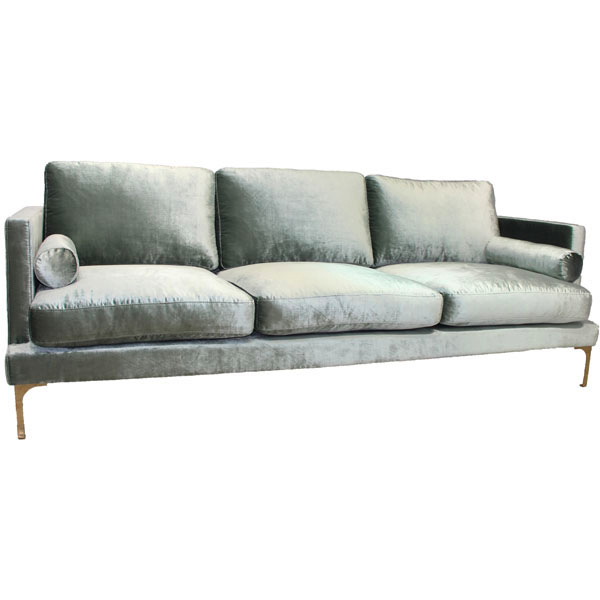 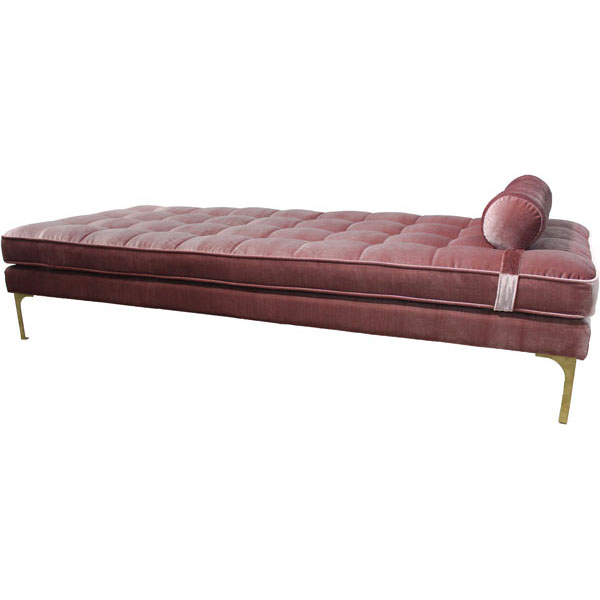 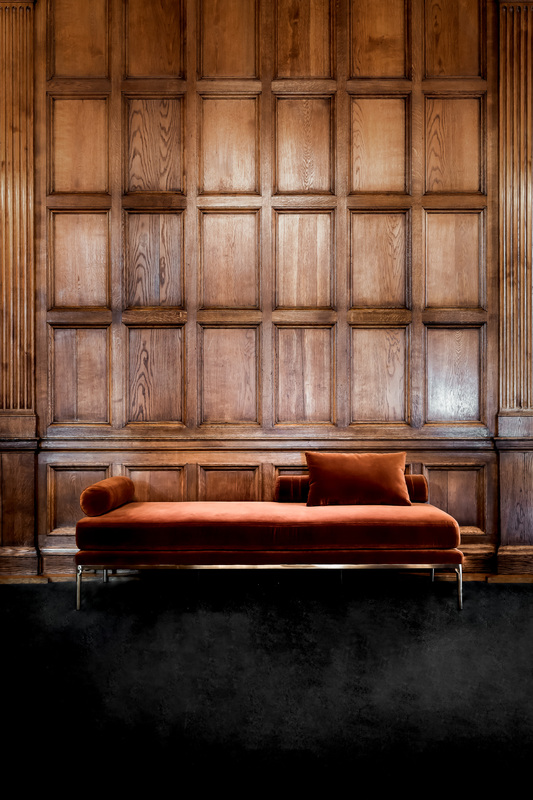 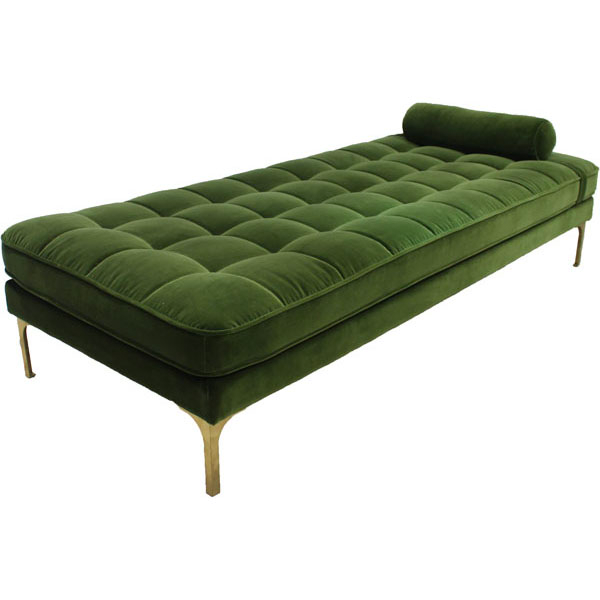 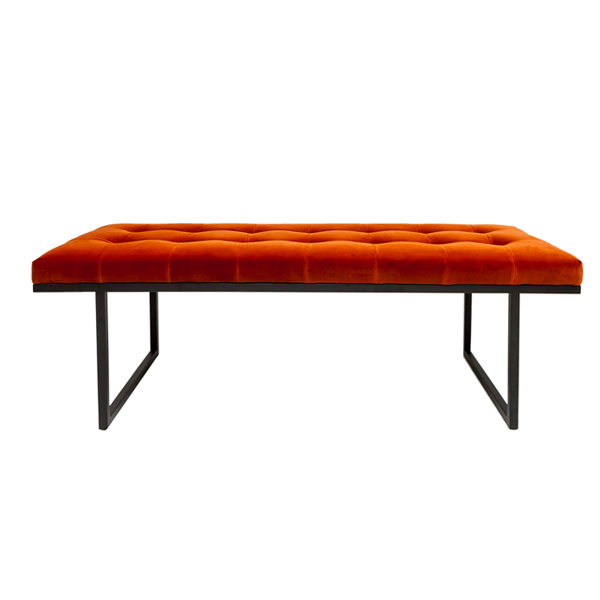 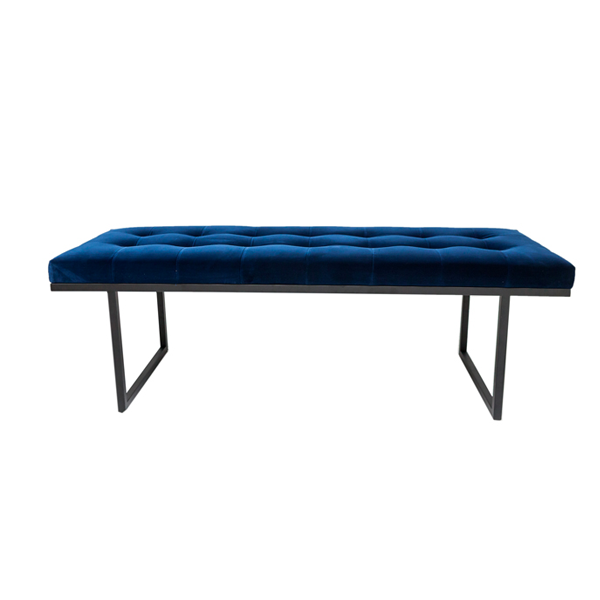 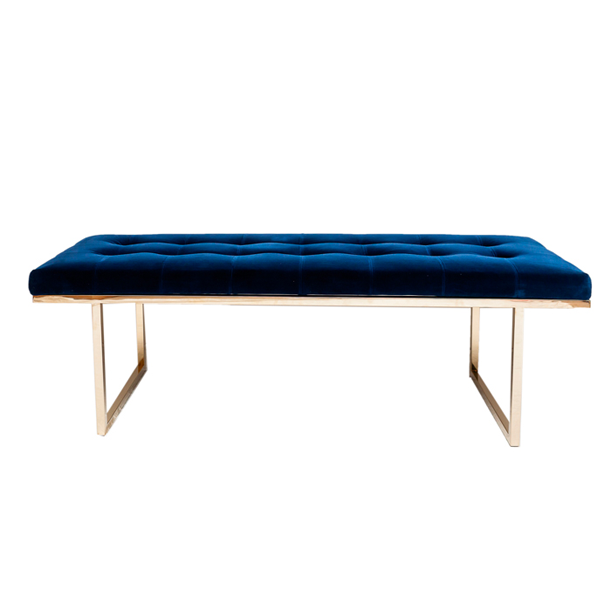 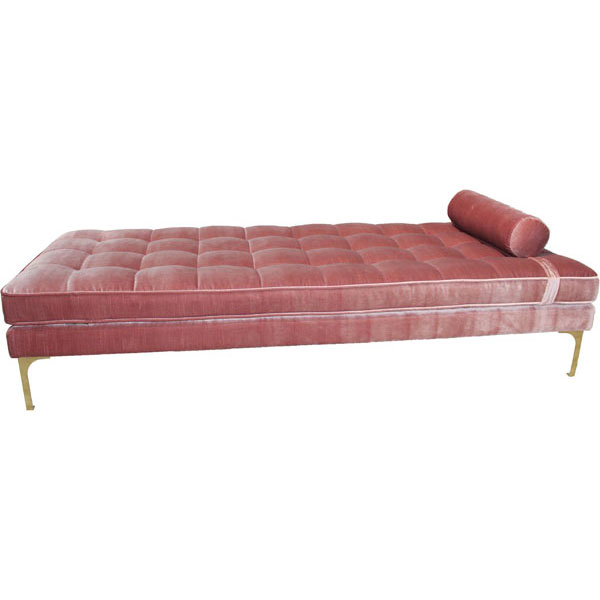 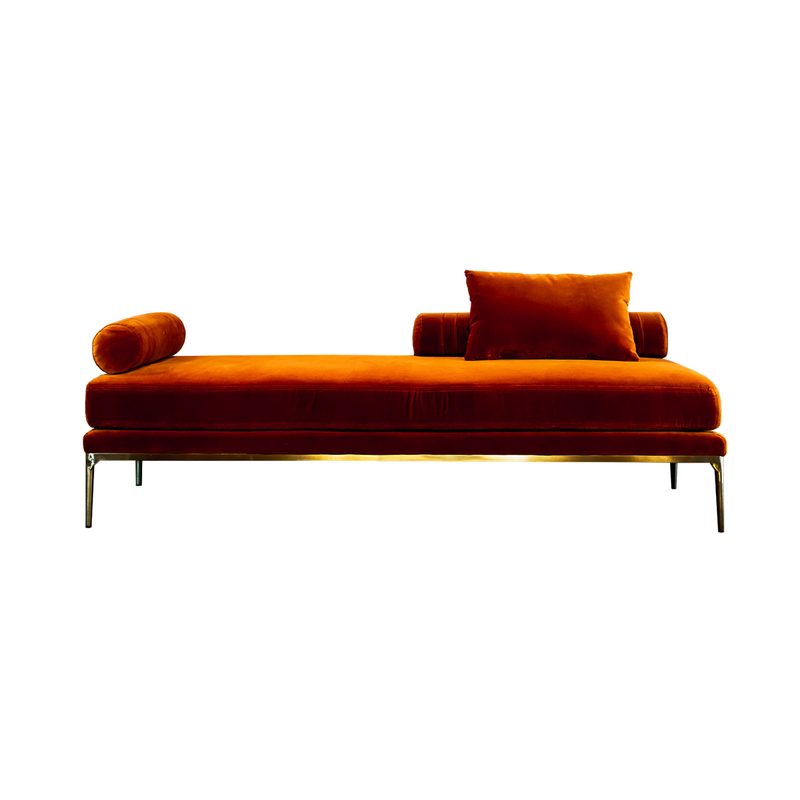 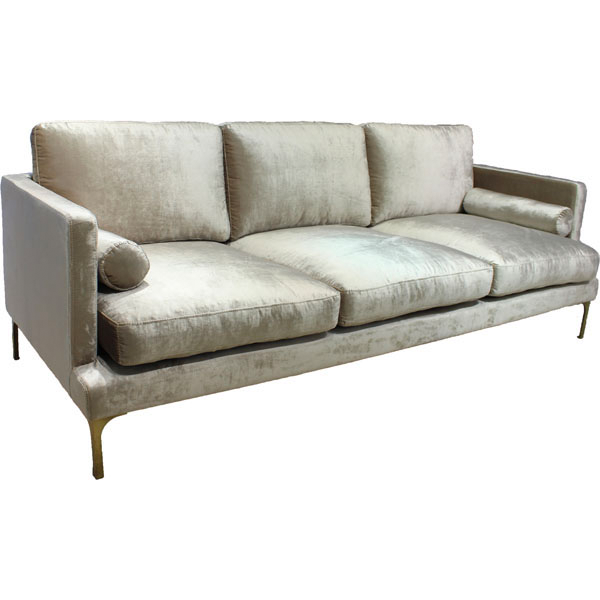 If you don’t want a whole sofa in velvet, every home should at least have a smaller piece of velvet furniture like a bench, pouf or armchair and we can almost guarantee that it will enhance the experience of any room! 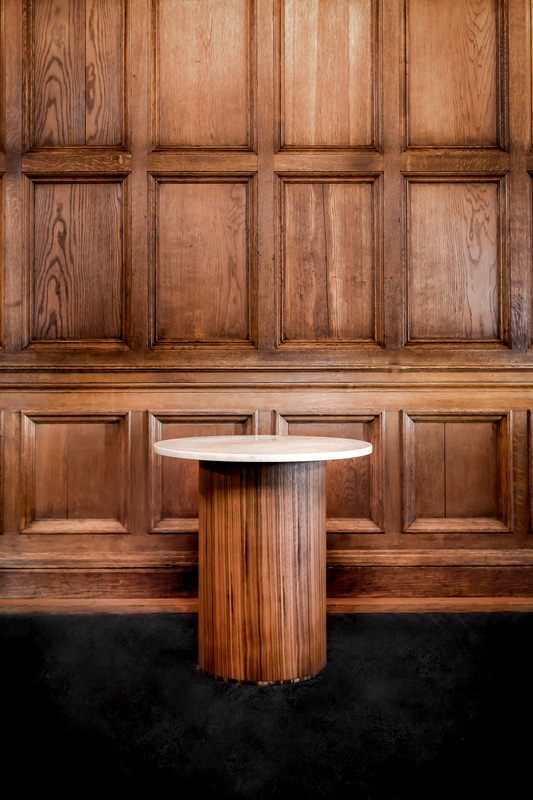 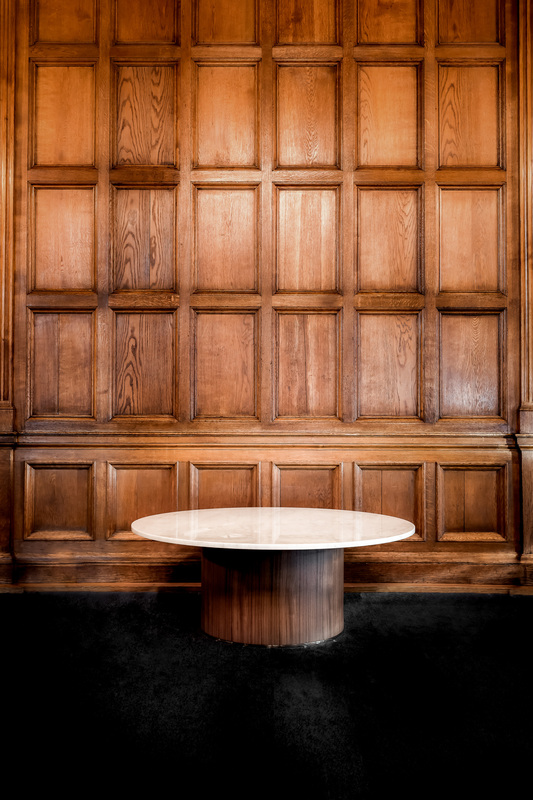 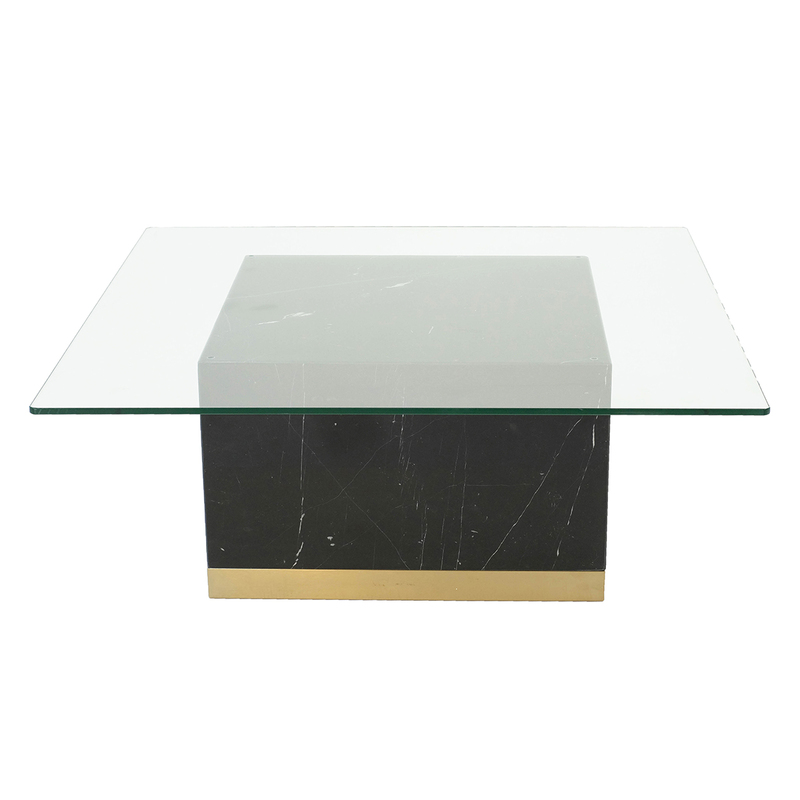 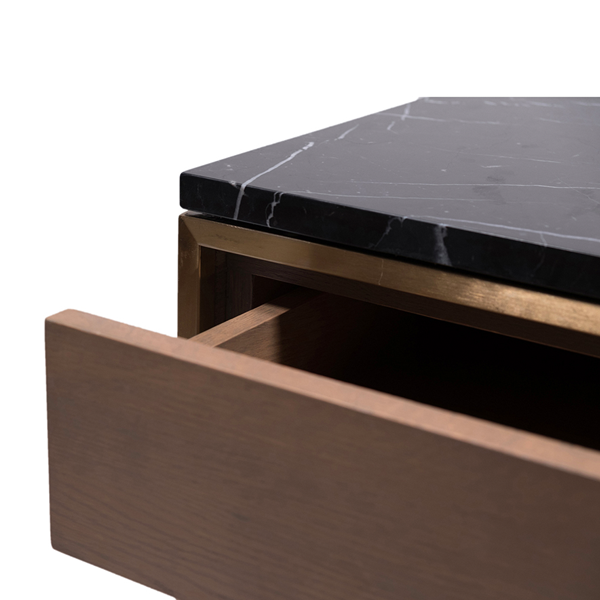 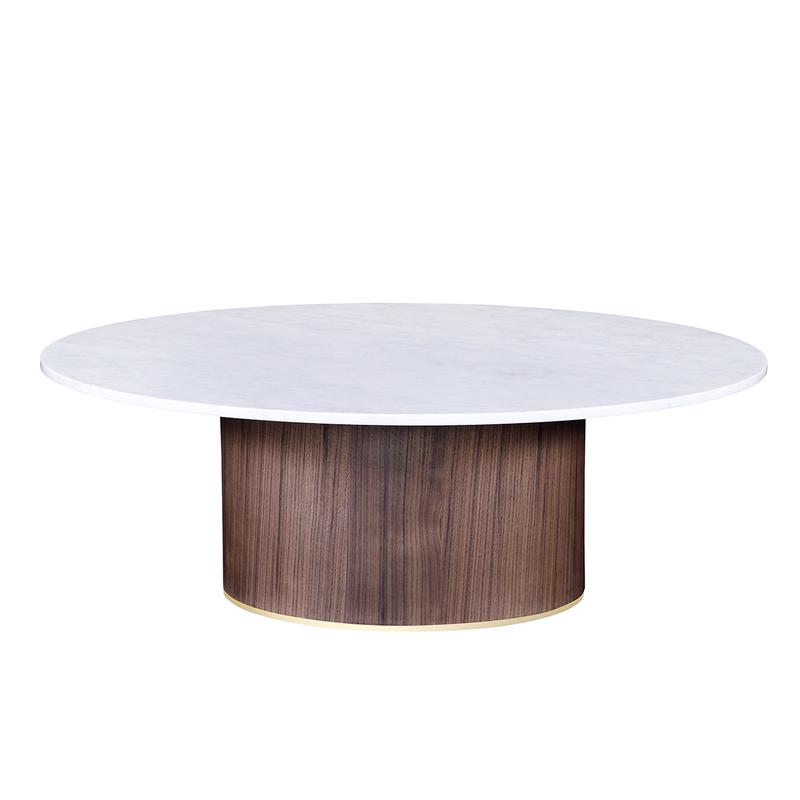 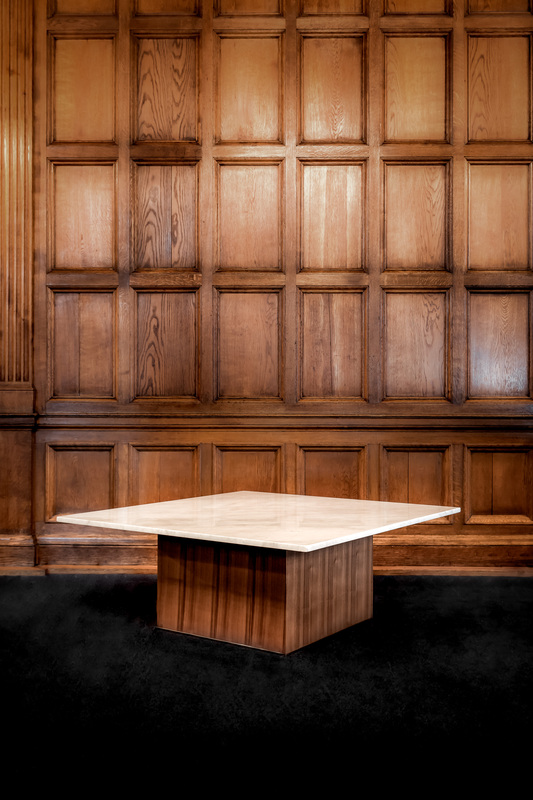 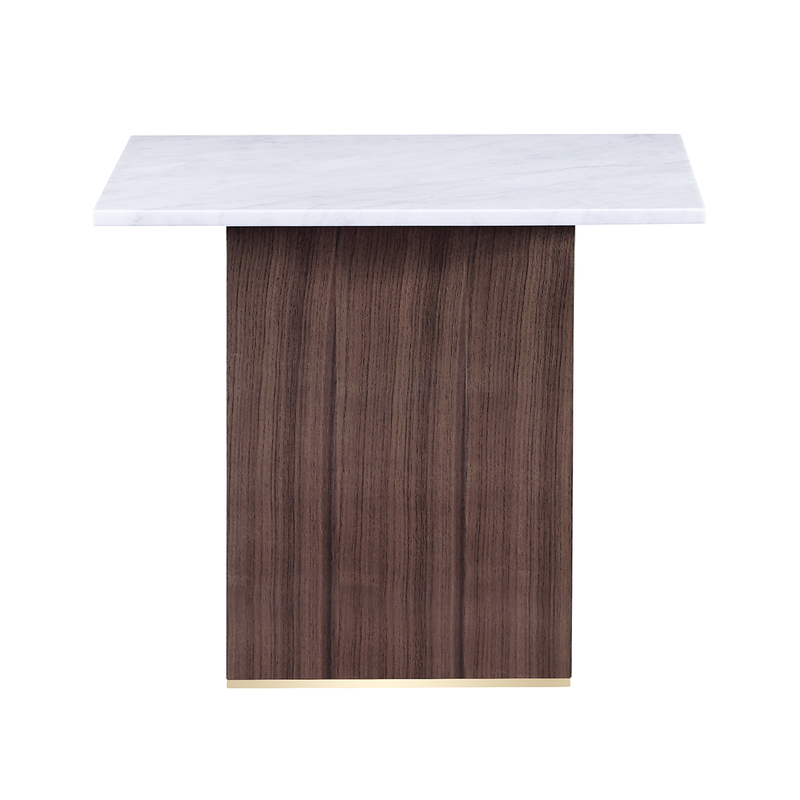 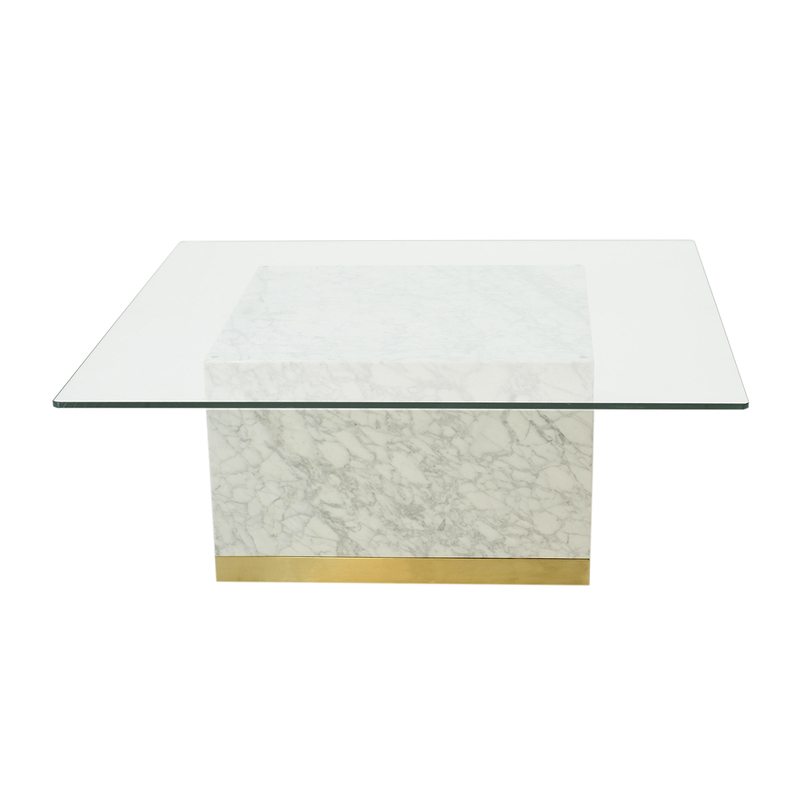 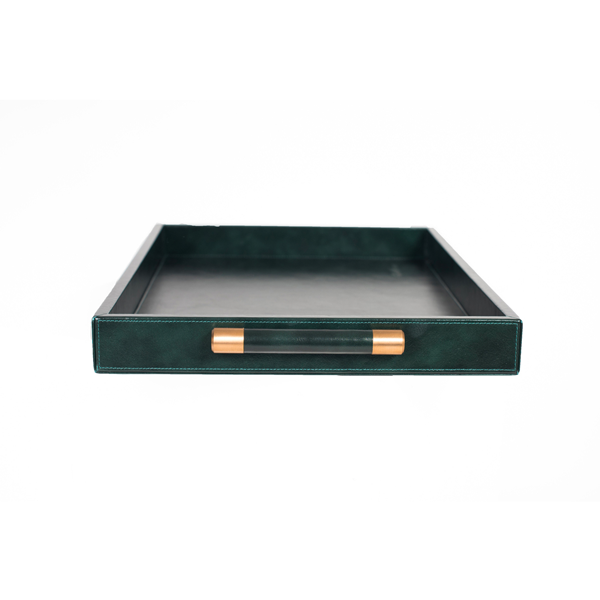 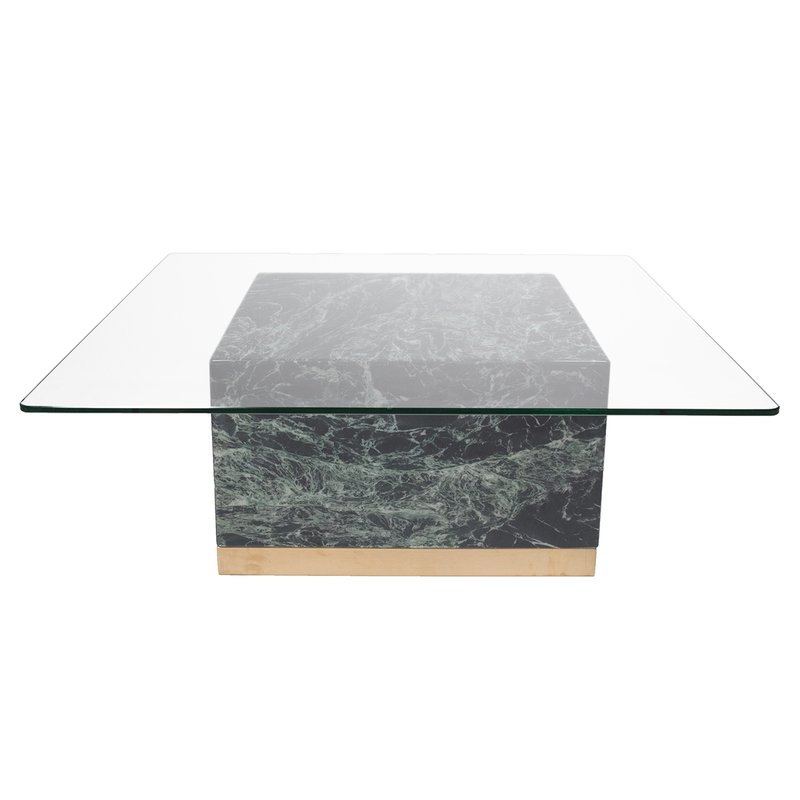 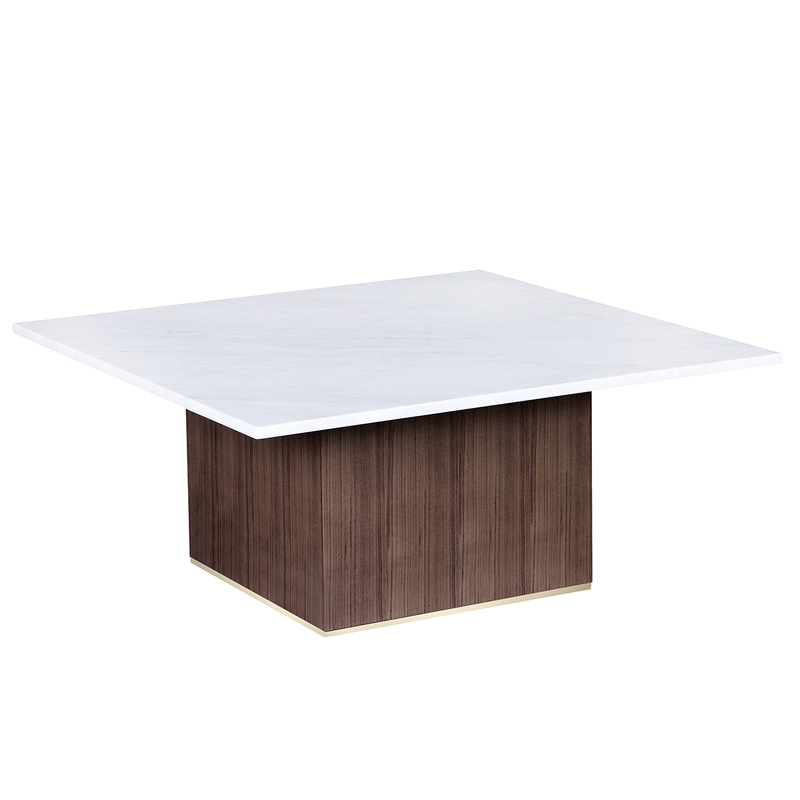 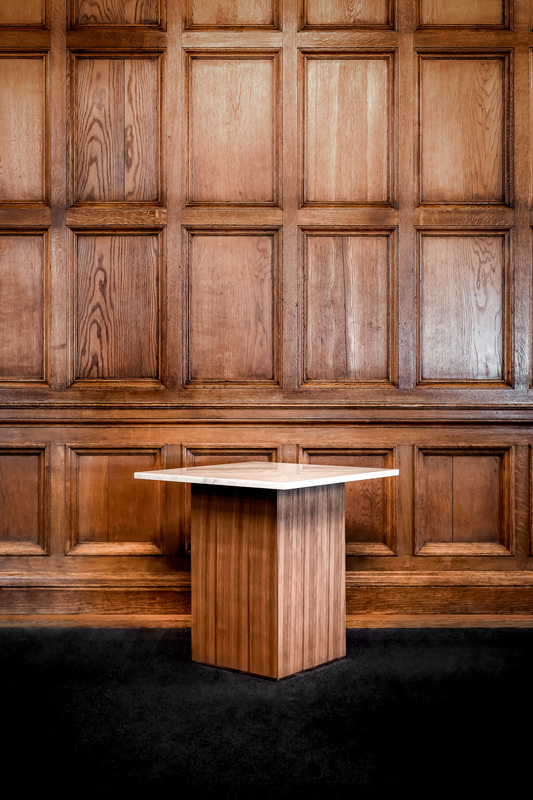 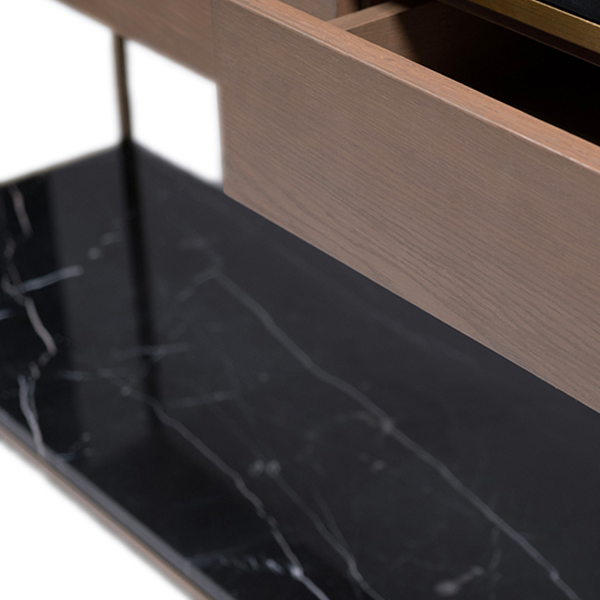 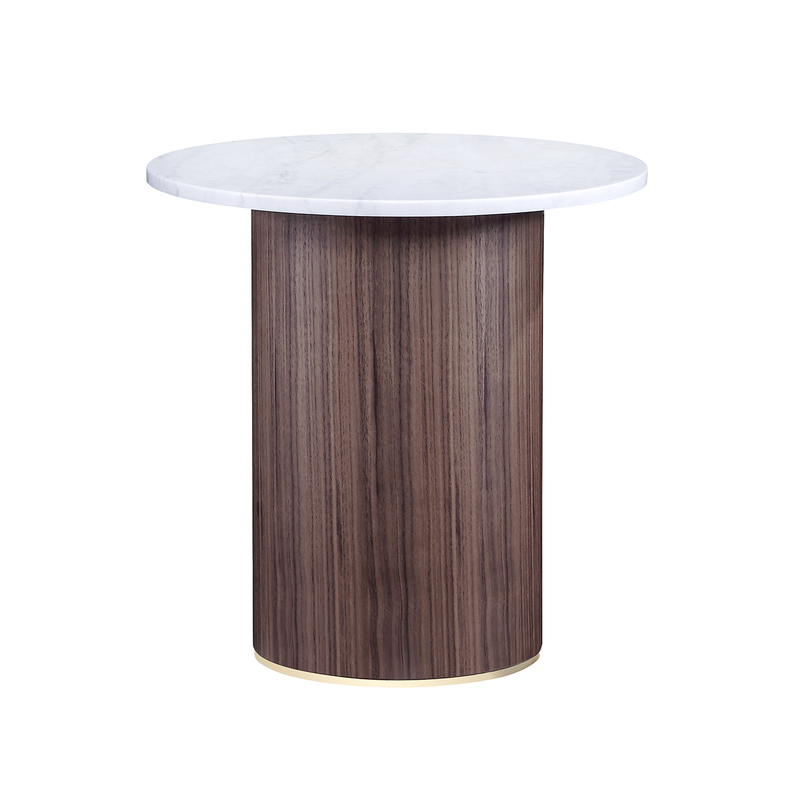 Since Ruth & Joanna designs and sells marble tables in the form of coffee tables, console tables and side tables, we think it is fun to tell a little about this unique material that has been popular for several years when it comes to interior. 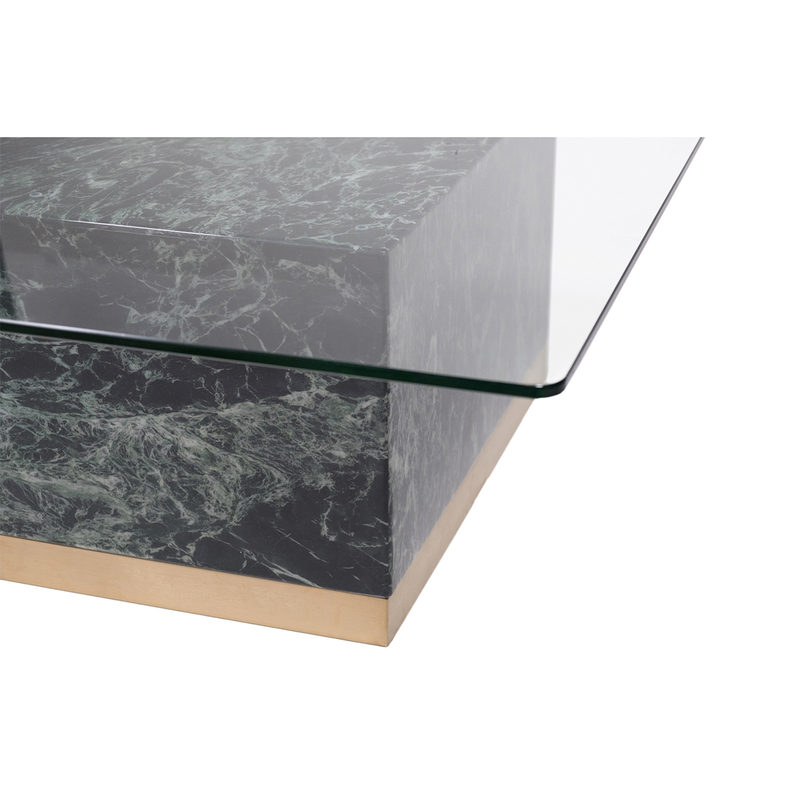 Not so strange though because who can resist this beautiful and exclusive material? 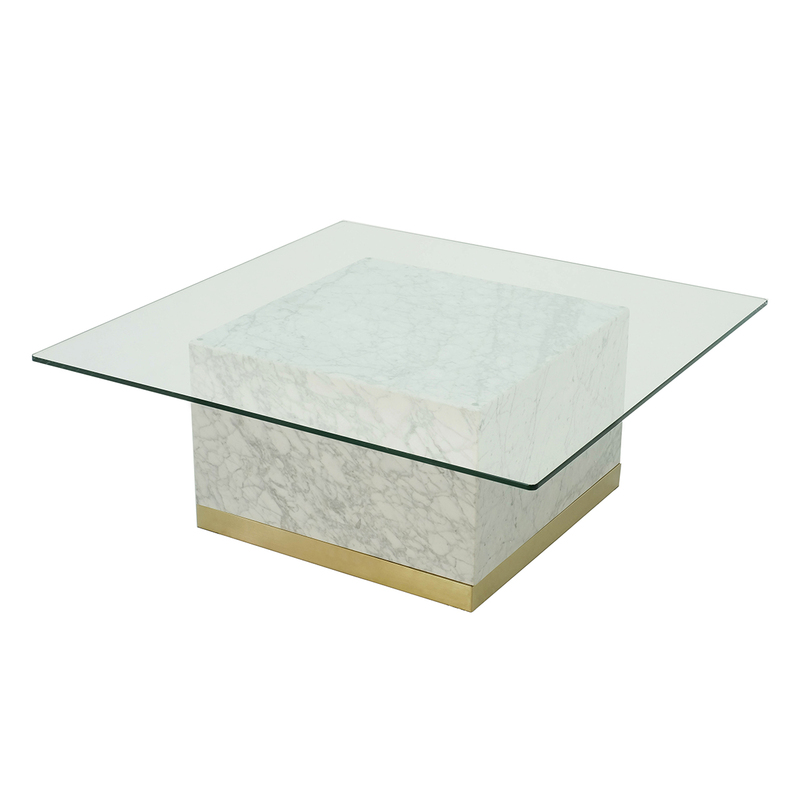 Marble is formed by subjecting limestone to high pressure and temperature, which leads to changes in the original chemical composition of the rock. 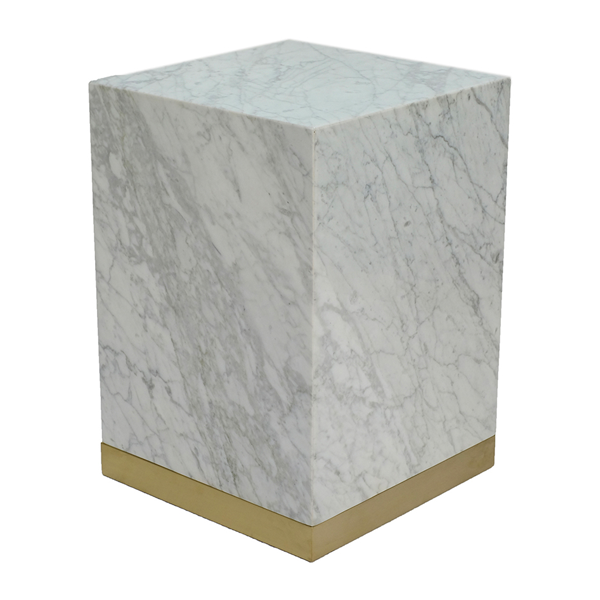 Did you know that pure marble is completely white but has different colors and patterns due to pollution? 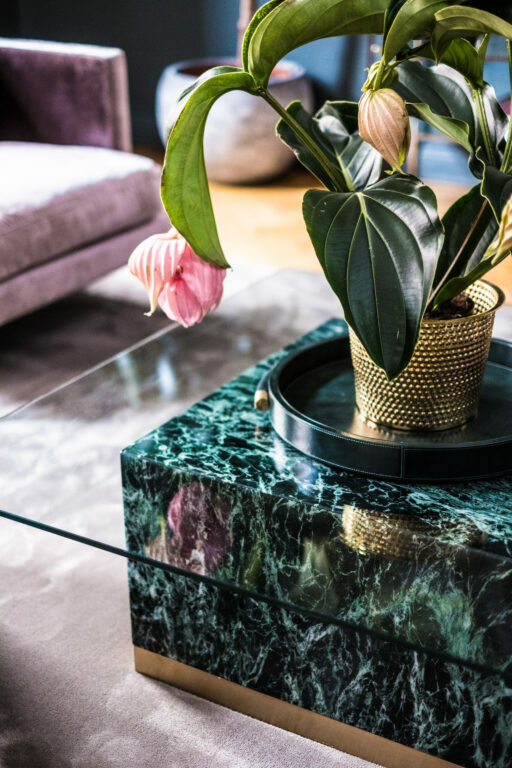 Perhaps the most famous kind of marble is the white-gray Carrara marble, which comes from the city of Carrara in northern Italy, and the oldest mines were opened in 200 years BC. 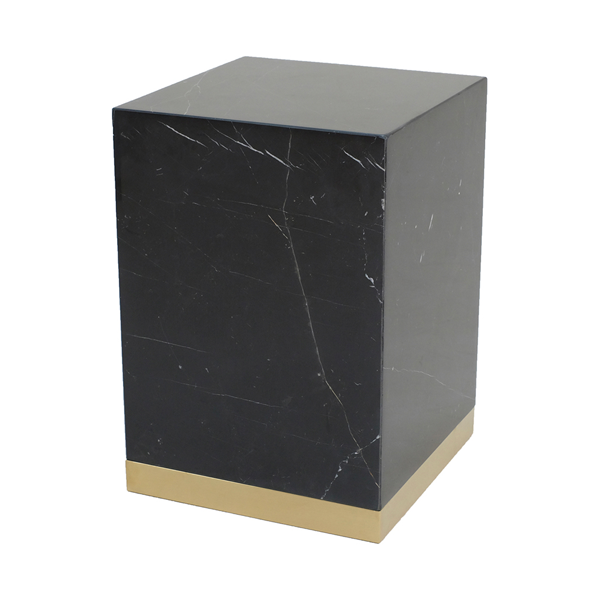 Another well-known and popular marble that we work with is the black Marquina marble that comes from northern Spain. 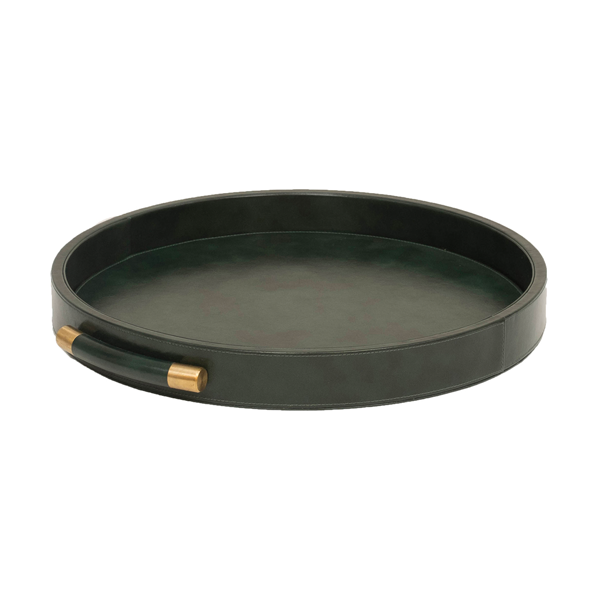 It is recognized by its deep black color and white grain. 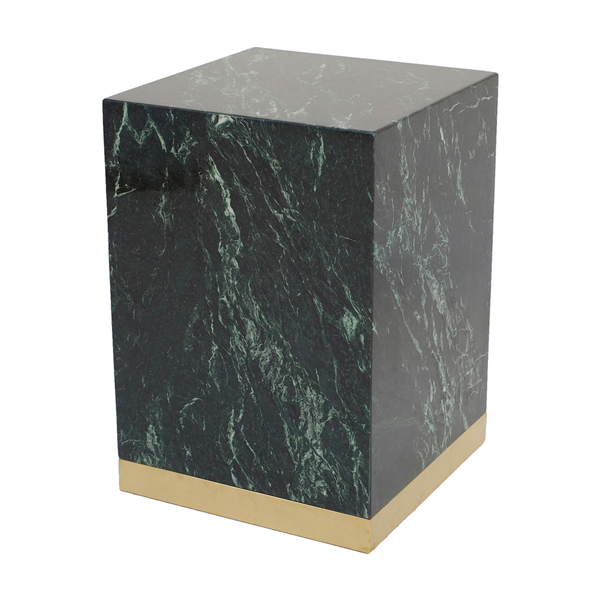 A third marble variety we work with is the incredibly beautiful green marble that gets any room to stand out. 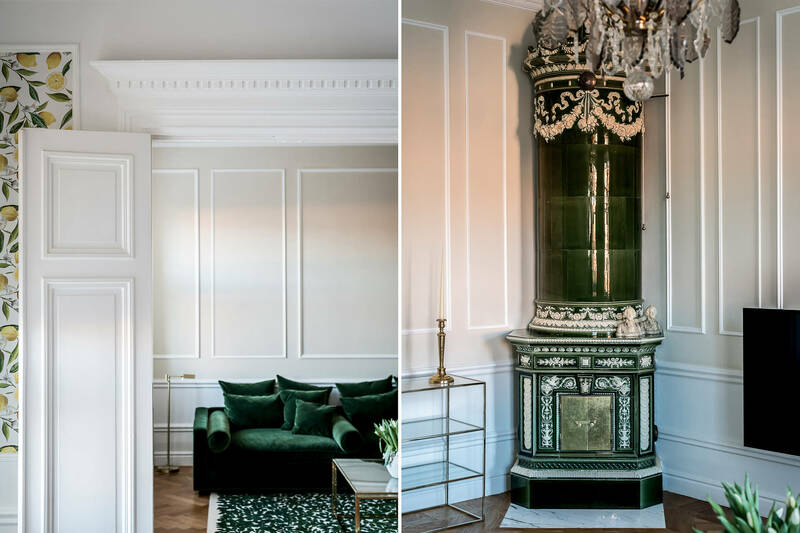 We are already a bit into 2019 but it is always fun to tell about the prevailing interior trends for each year. 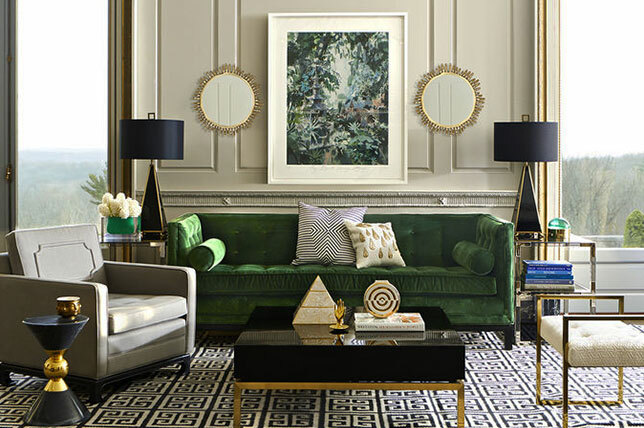 Below you will find four of the year’s trends and how you can adopt the style. 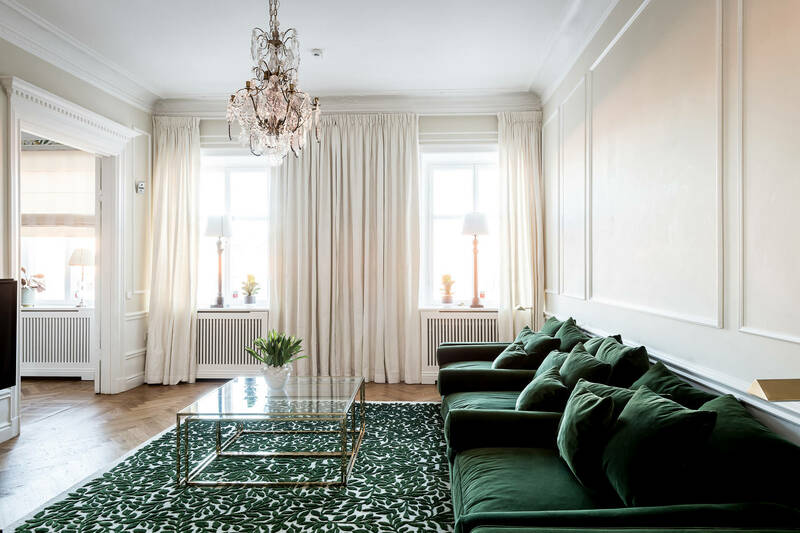 We are longing for the nature and we also want to decorate and paint with beautiful green colors. 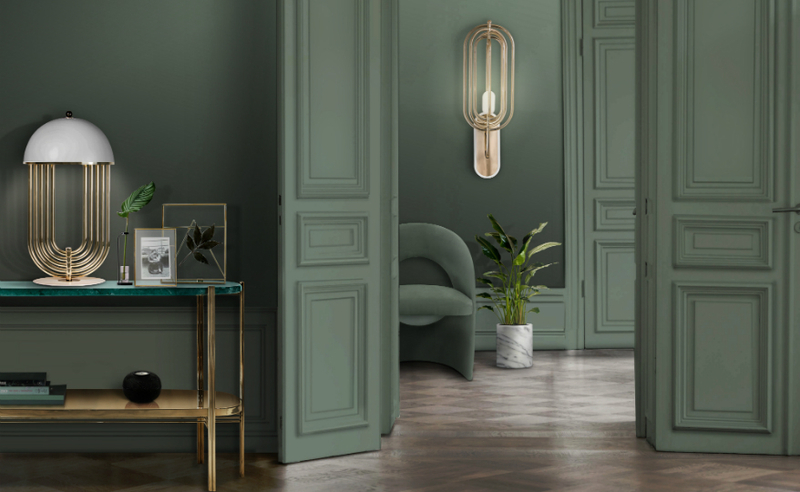 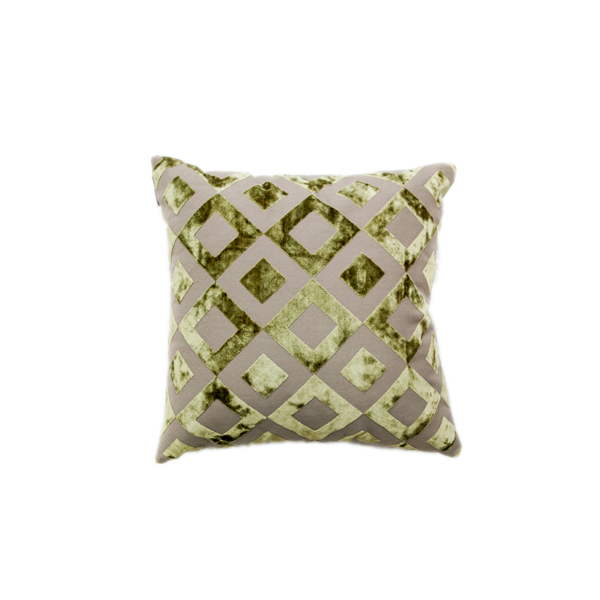 Gray-green tones and lighter mint green tones are extra popular this year. 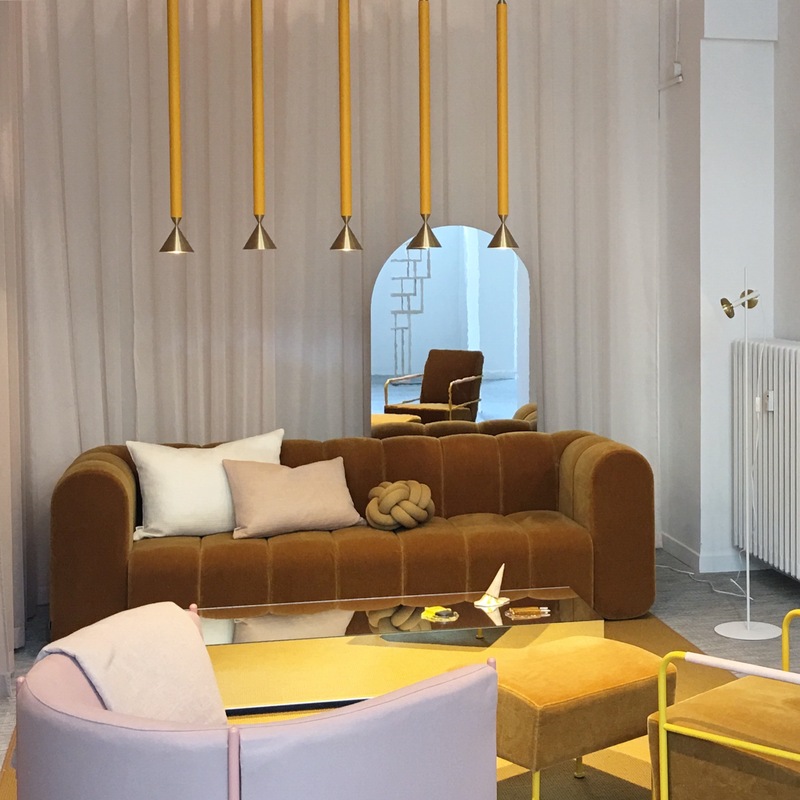 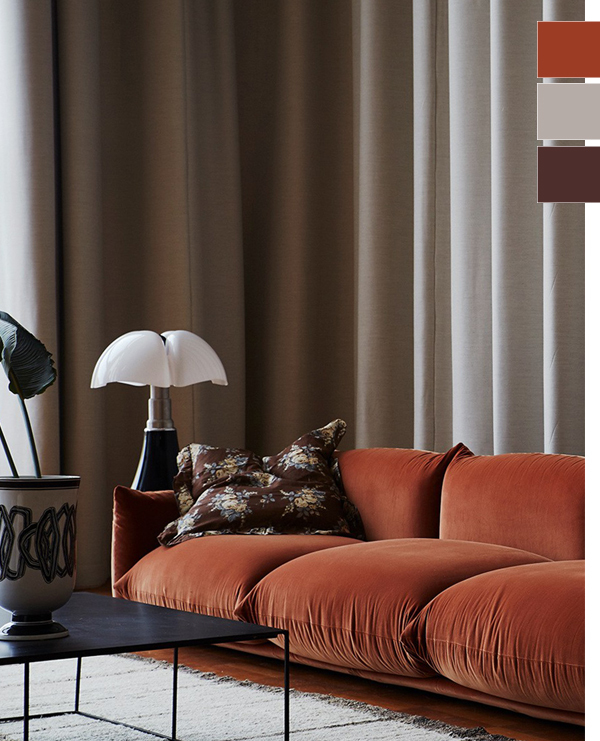 The beige color scale we see most in 2019 and the idea is that it should create a harmonious and warm impression without that feeling boring. 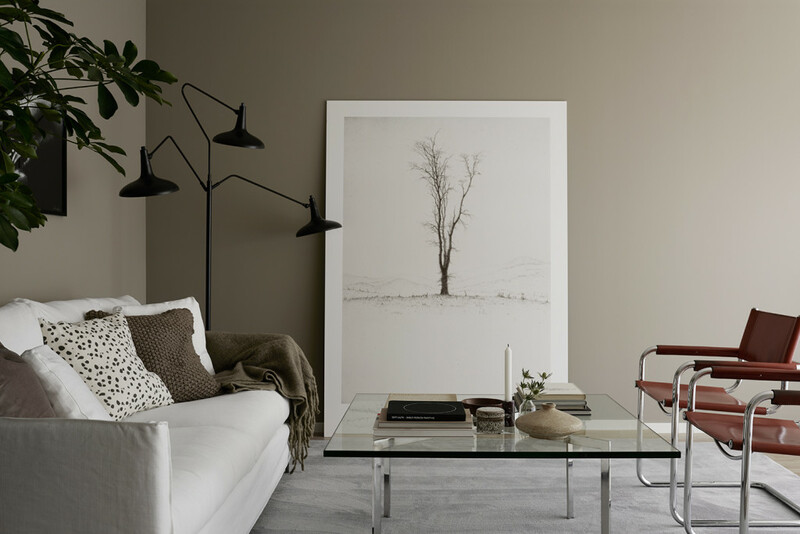 The colors vary from different shades of beige and brown to warm gray tones. 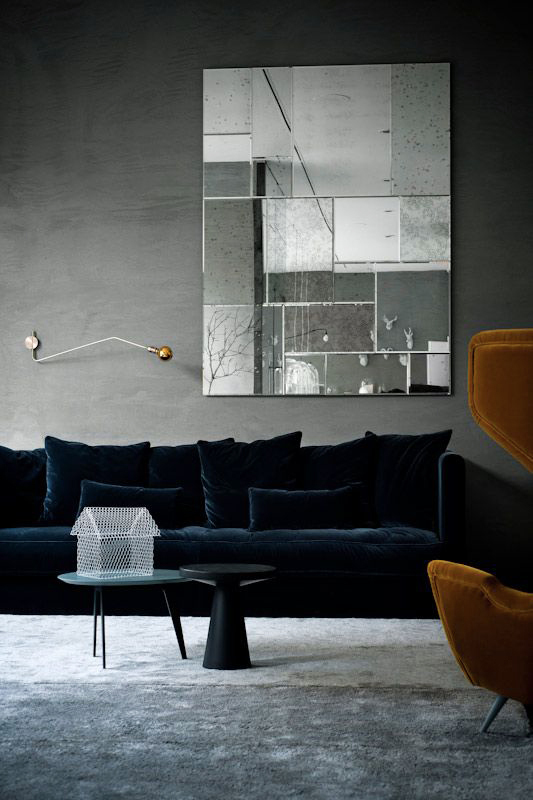 Greige has become the collective name for this, which certainly fits very good for this trend. 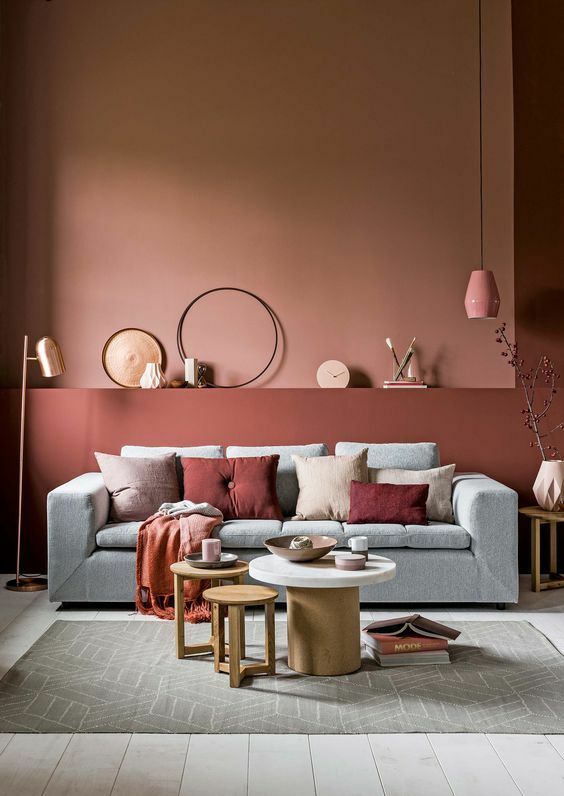 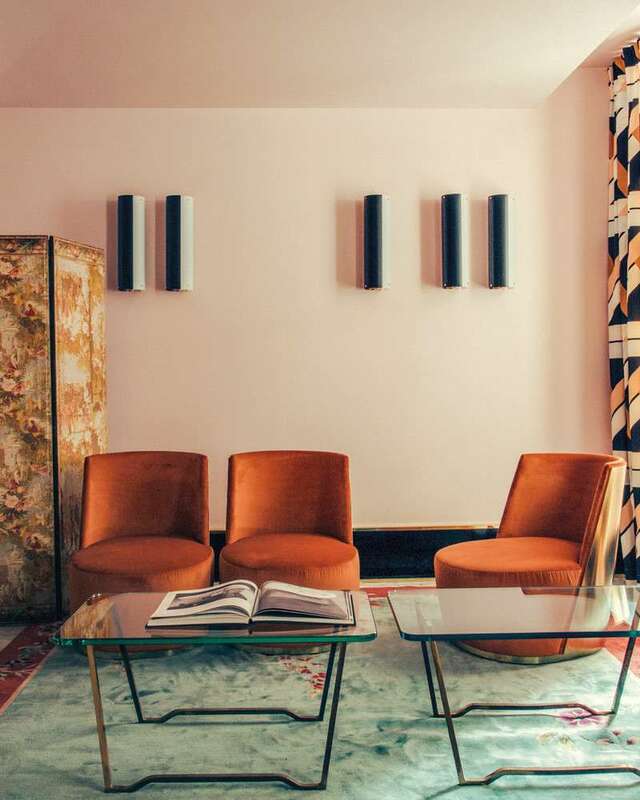 Something else we see much of in 2019 is pink, brown and rust-colored tones which contribute to a warm and cozy feeling. 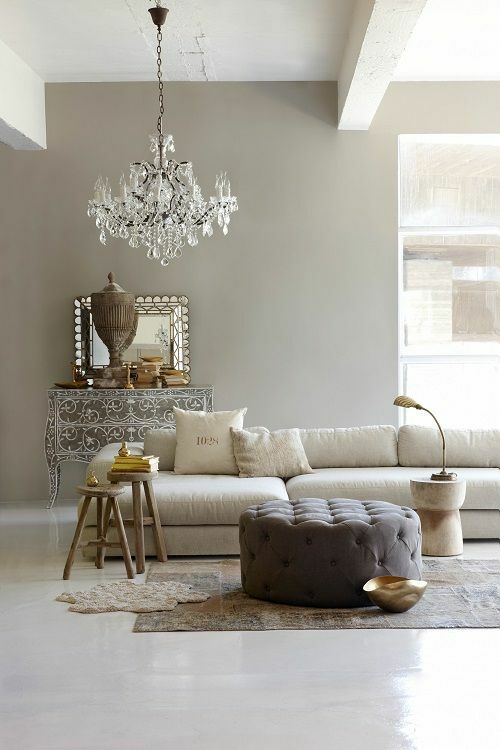 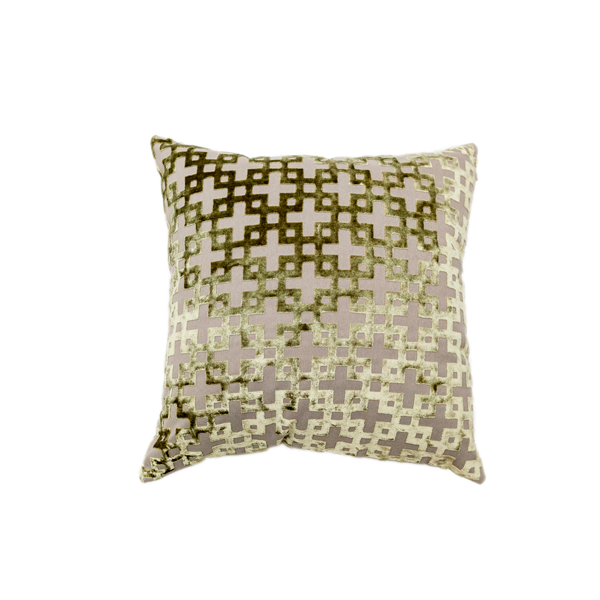 The tones undoubtedly fit well with the gray-green or the warm beige-gray tones. 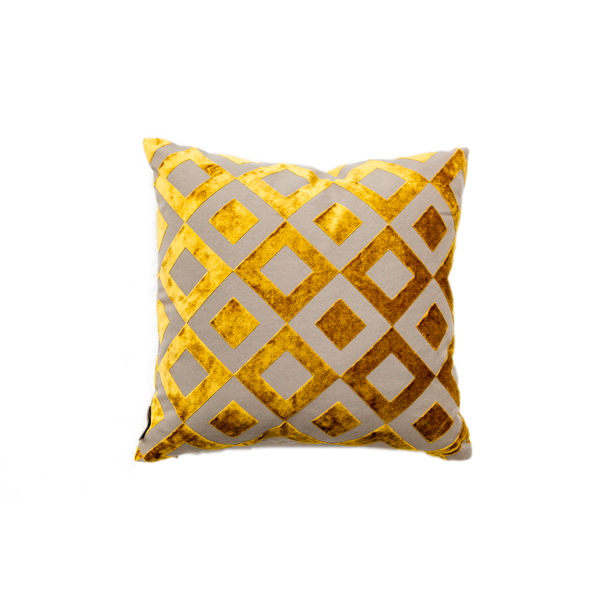 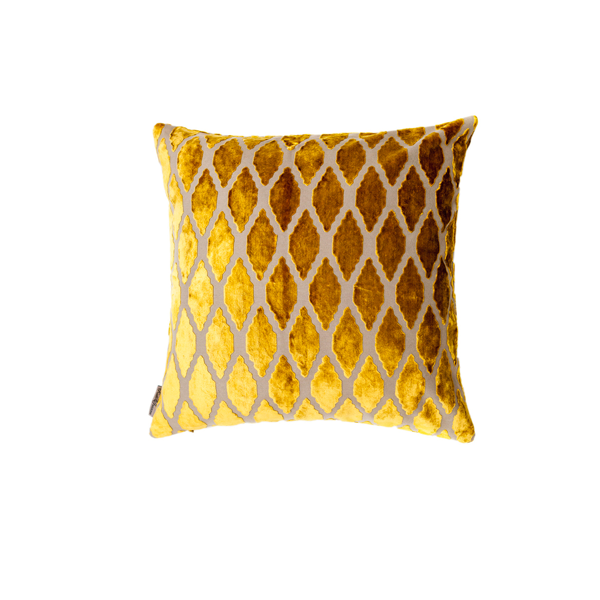 Mustard yellow is a trend both within fashion and interior design. 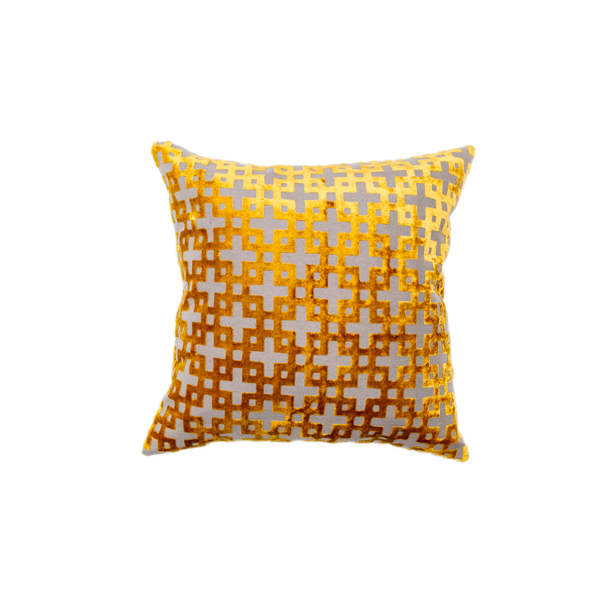 When it comes to interior, yellow works particularly well as an eye-catching color. 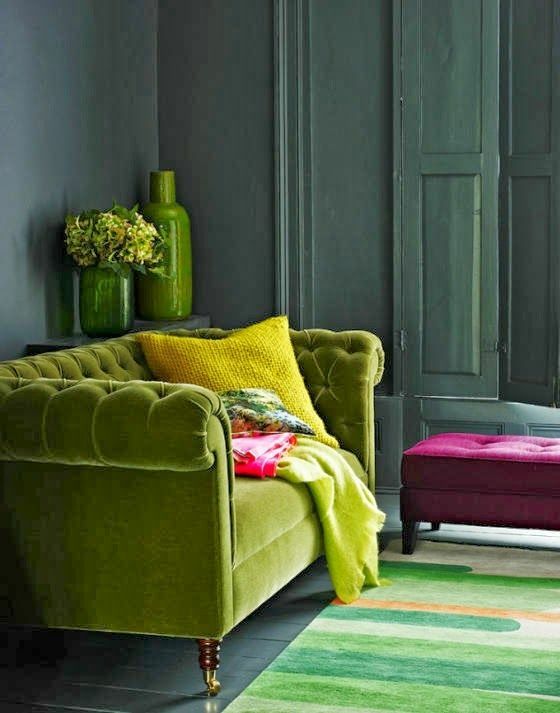 We really love the mix of all these colors and are looking forward to adapt them into our interior this year. 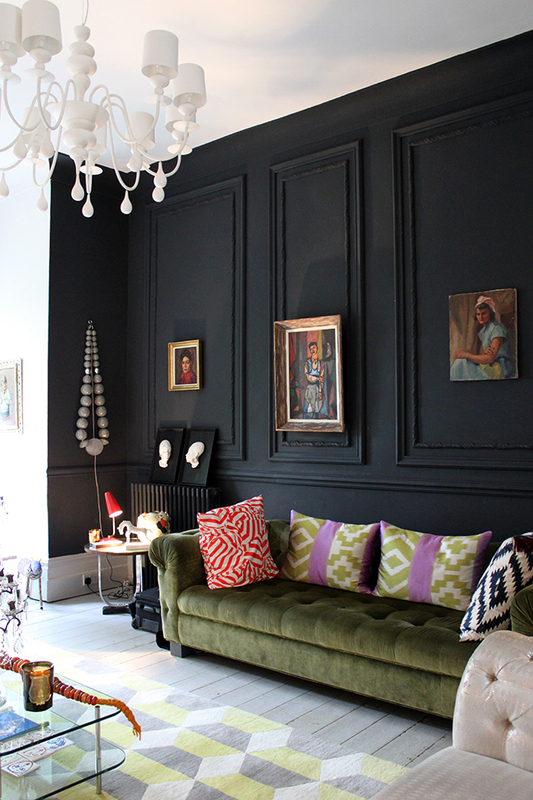 We hope you will do it too! 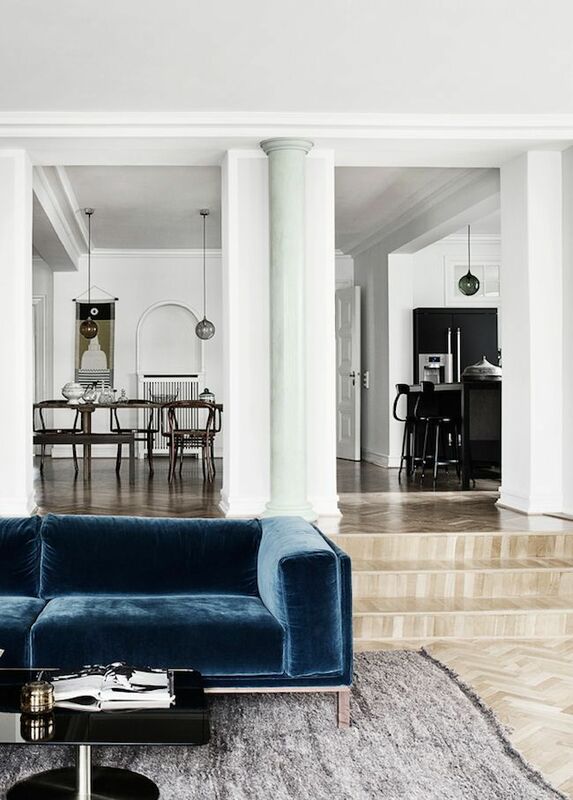 As mentioned earlier, it is so fun to find our furniture on nice pictures from real estate companies. 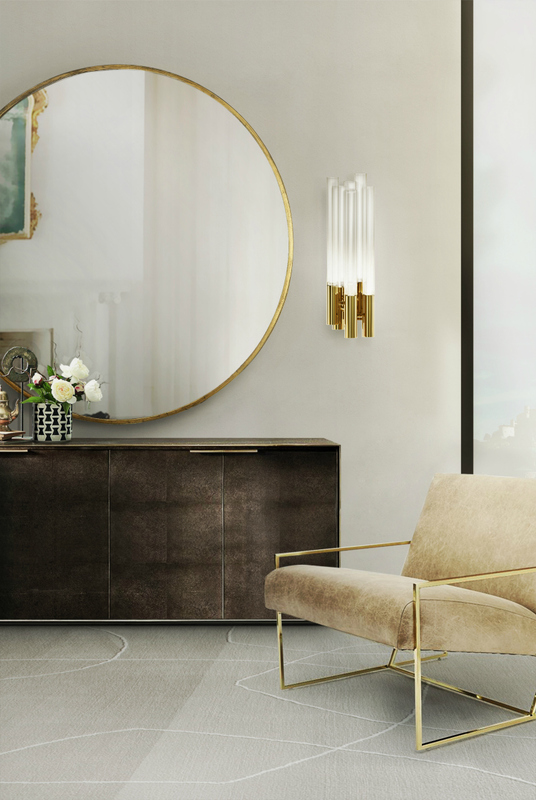 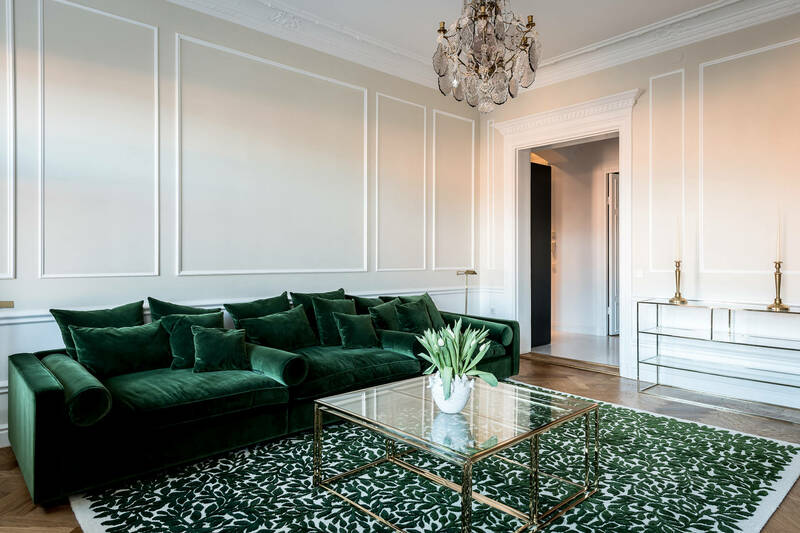 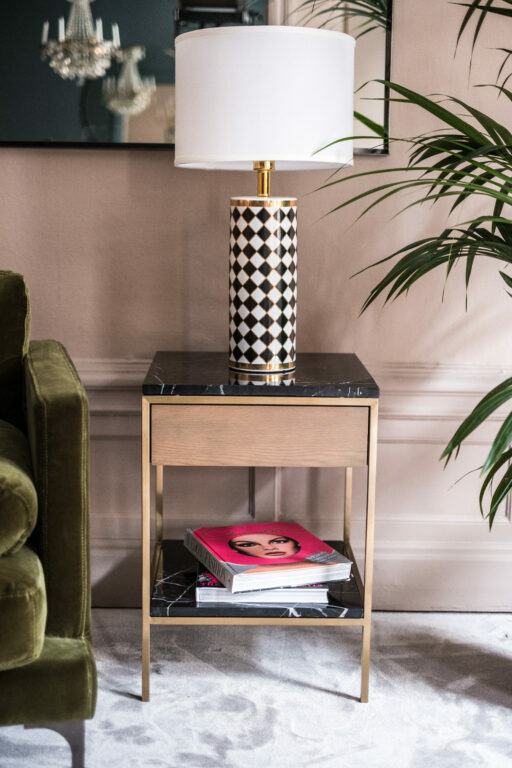 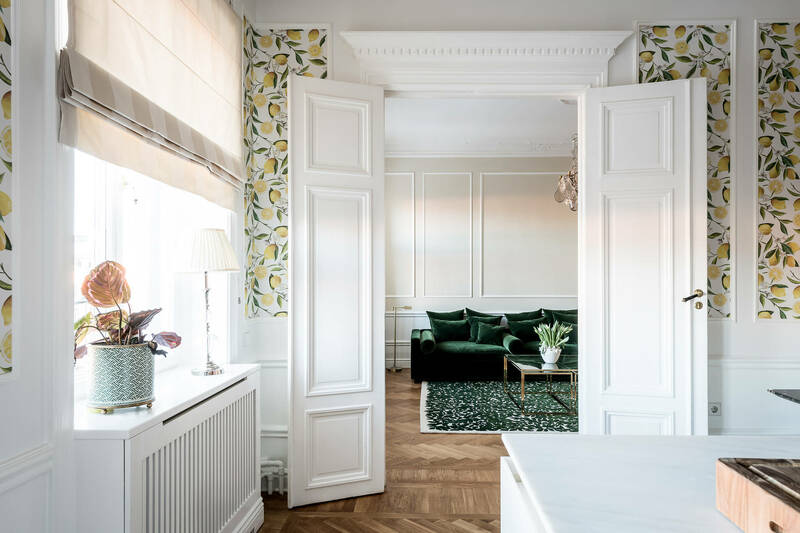 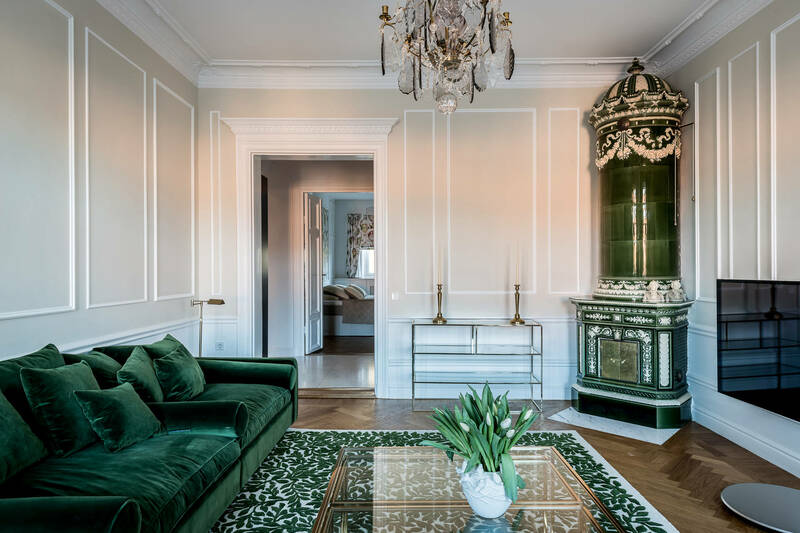 Wrede Fastighetsmäkleri recently sold this beautiful apartment where the living room is adorned by two brass tables from us, both a Three Set Table – Large and a Shelby console table. 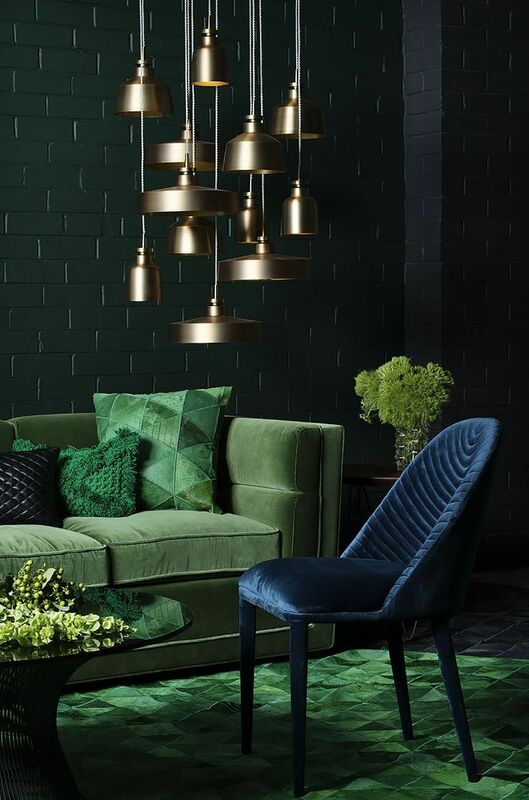 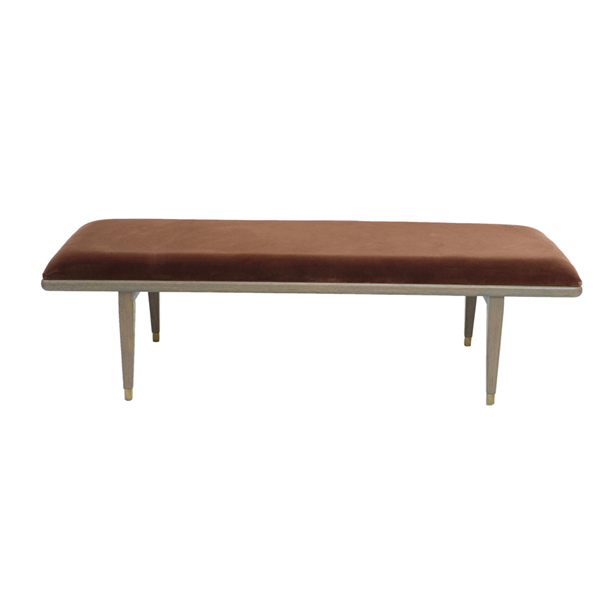 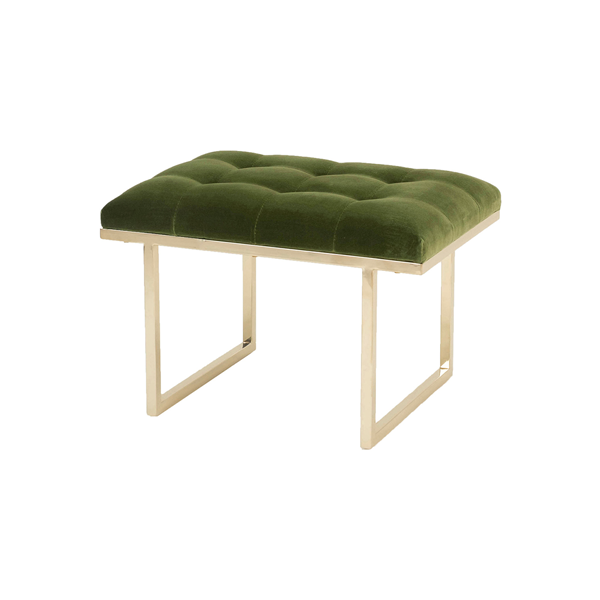 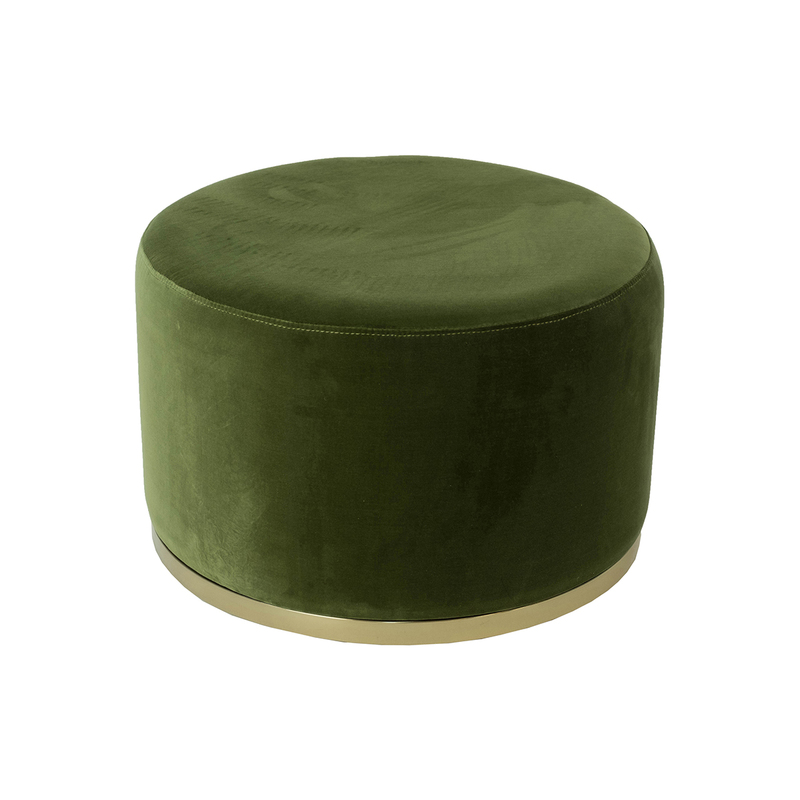 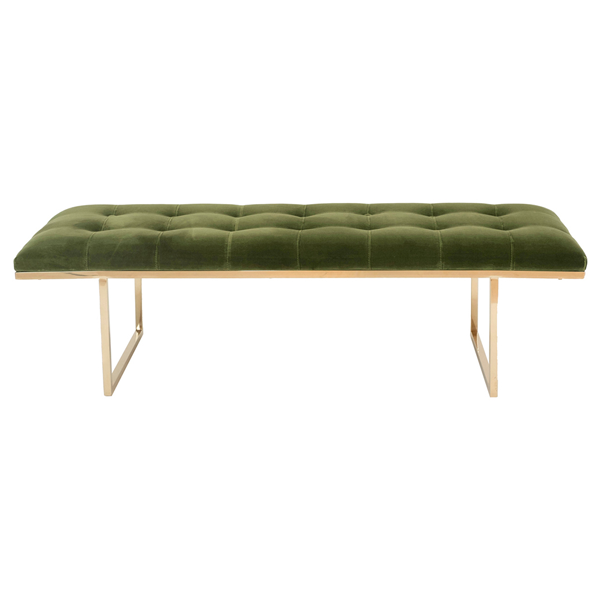 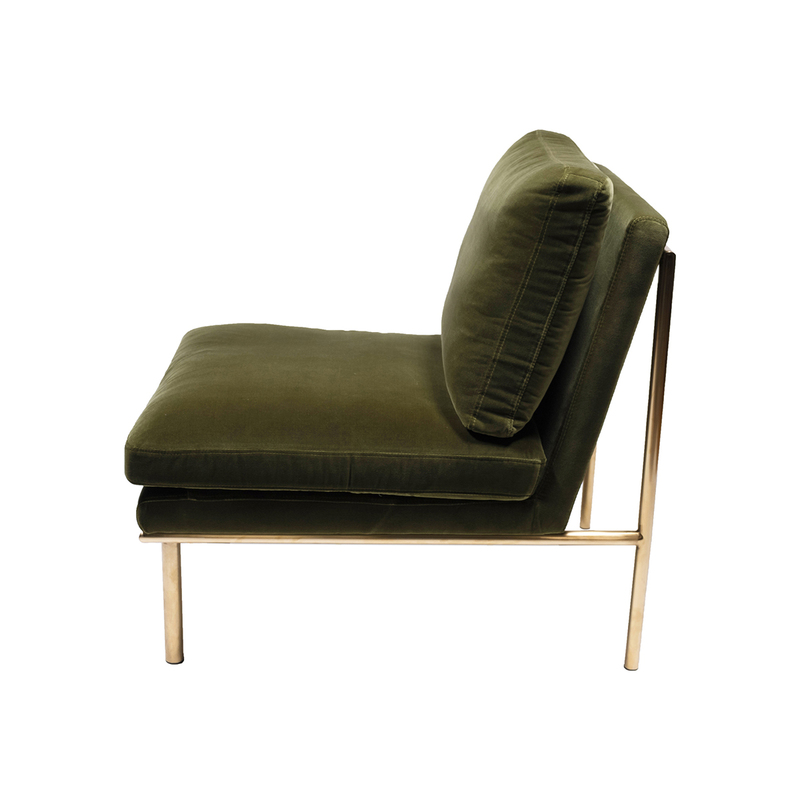 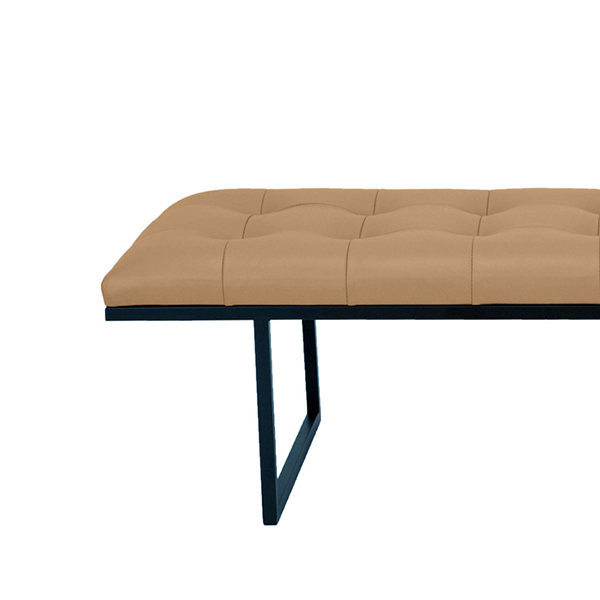 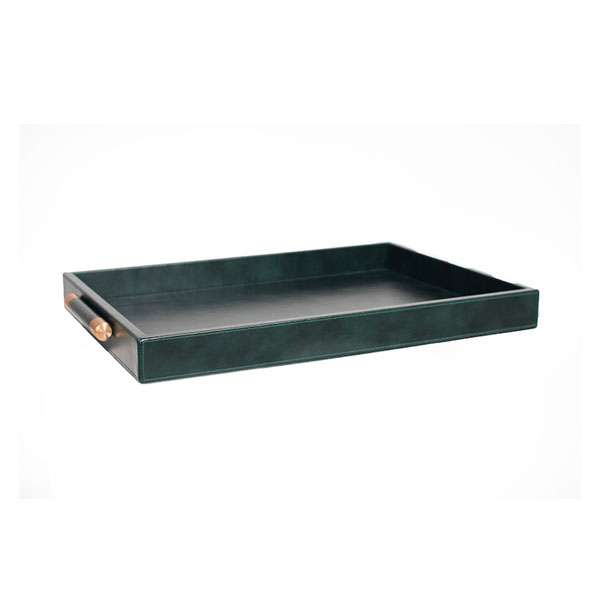 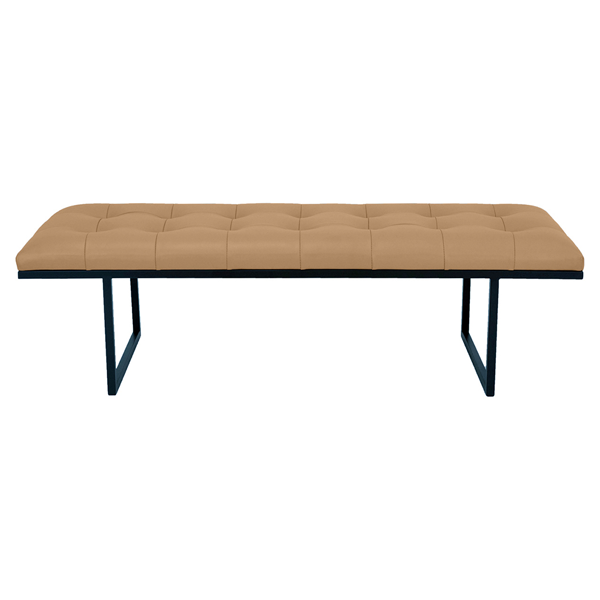 Brass and green fit very well together so the tables together with the sofa and the beautiful carpet is such a great choice.